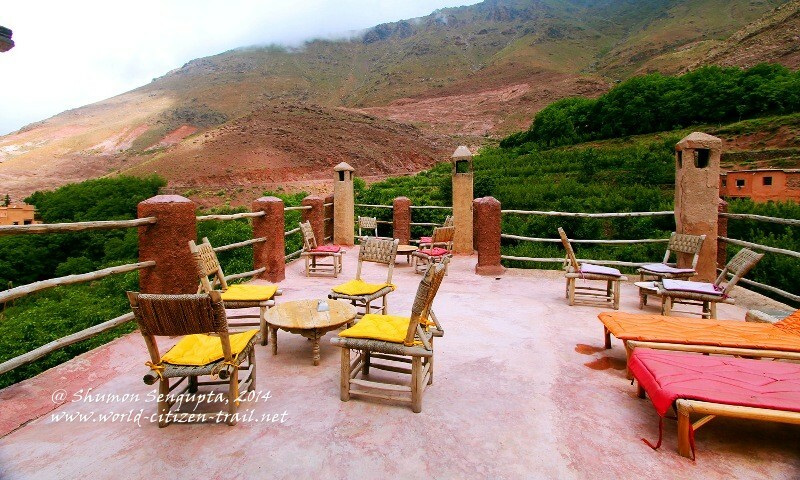 From Marrakesh, we drove towards the foothills in the southern direction and then onto the pink-ochre-orange High Atlas mountains. 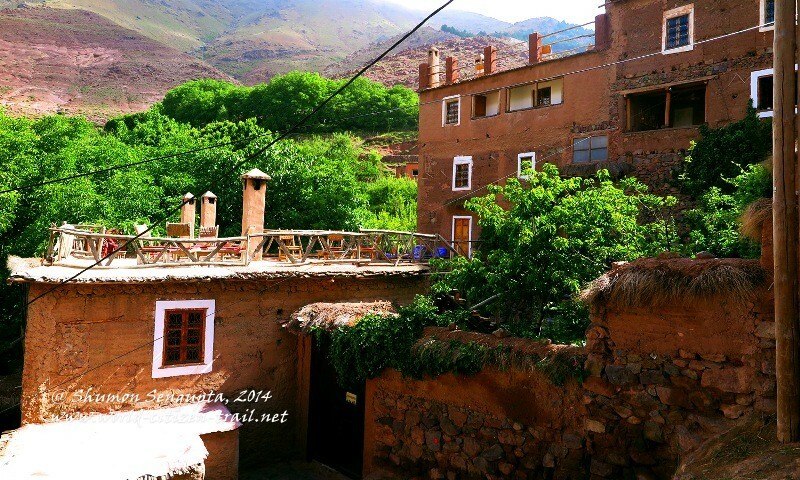 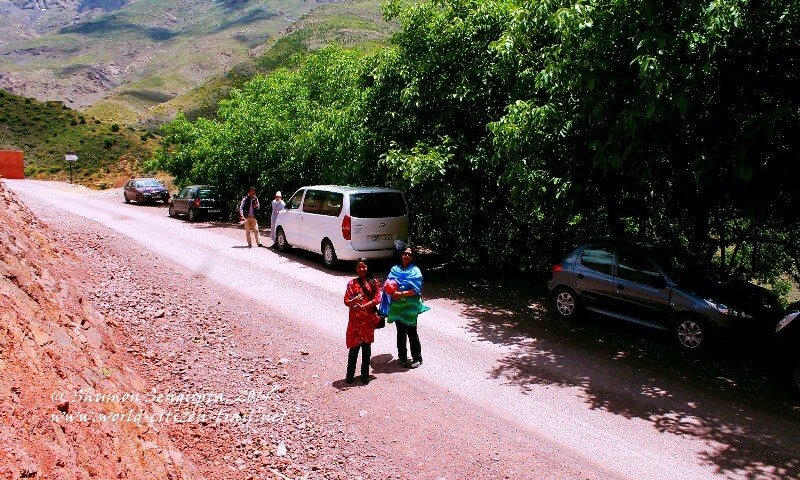 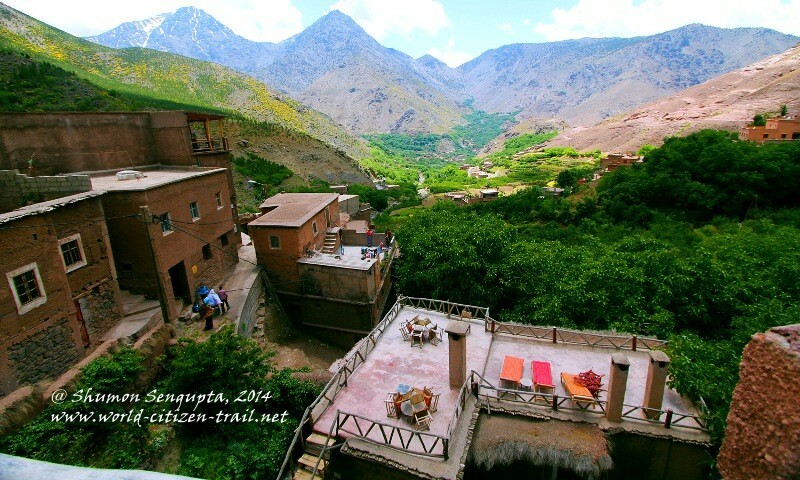 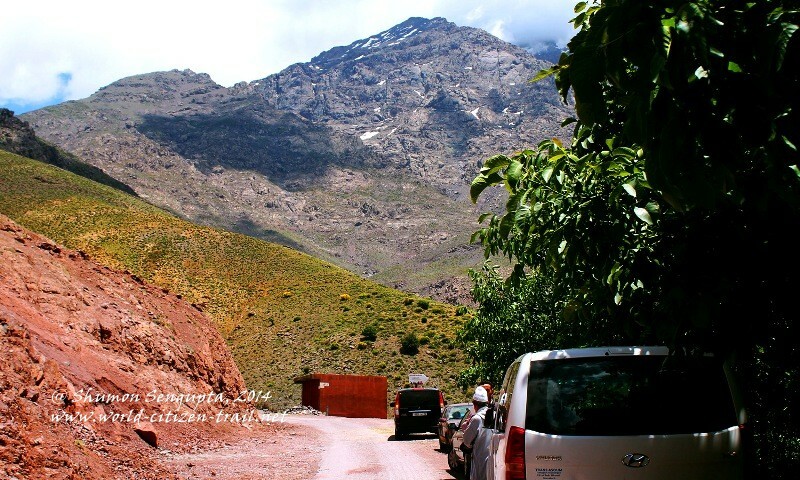 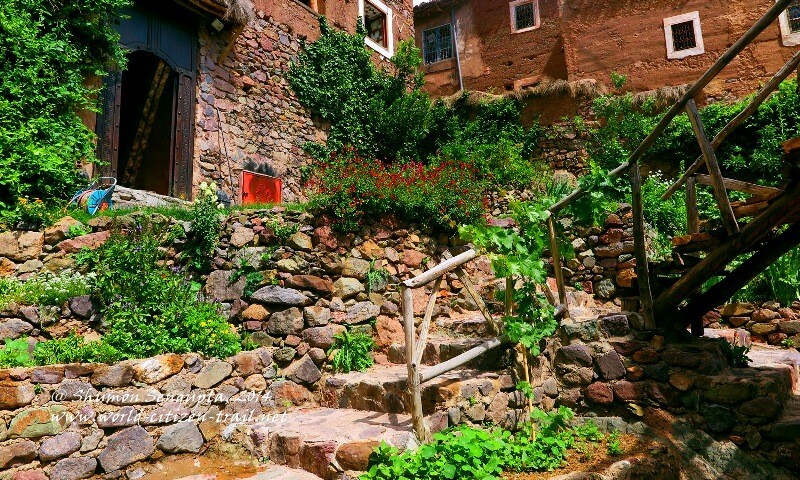 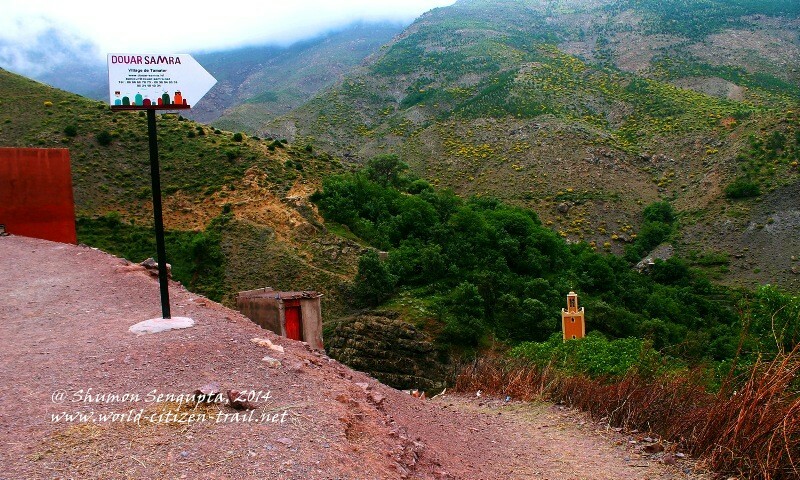 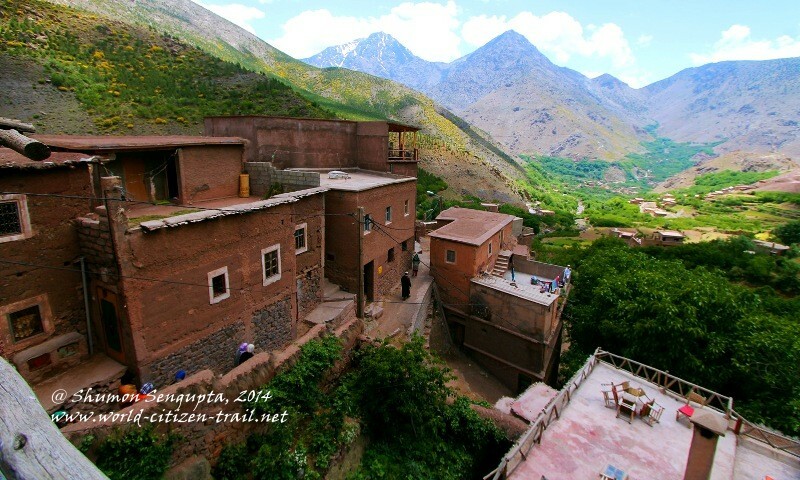 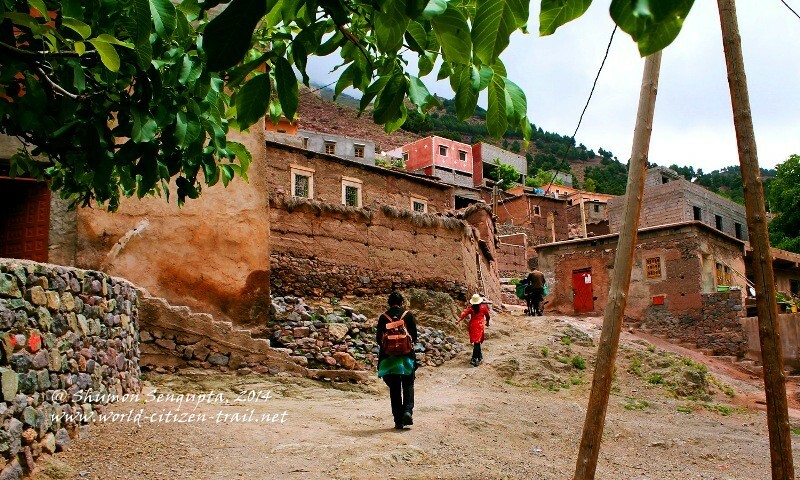 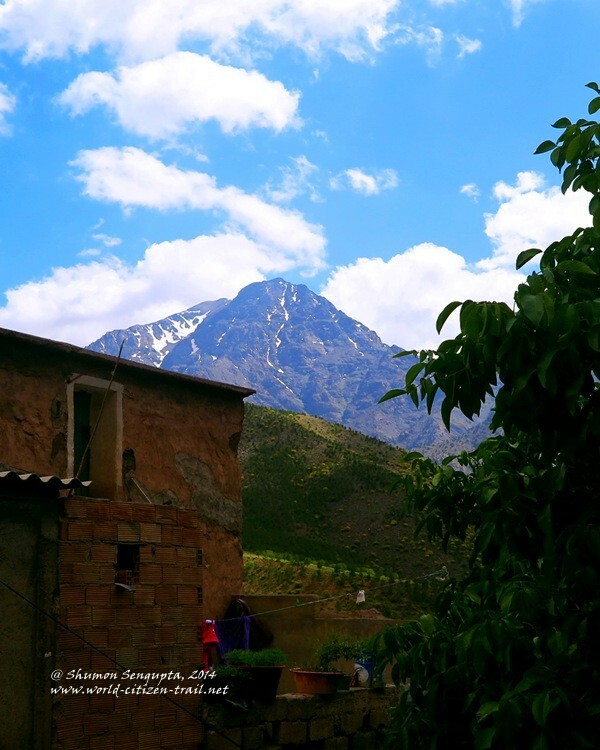 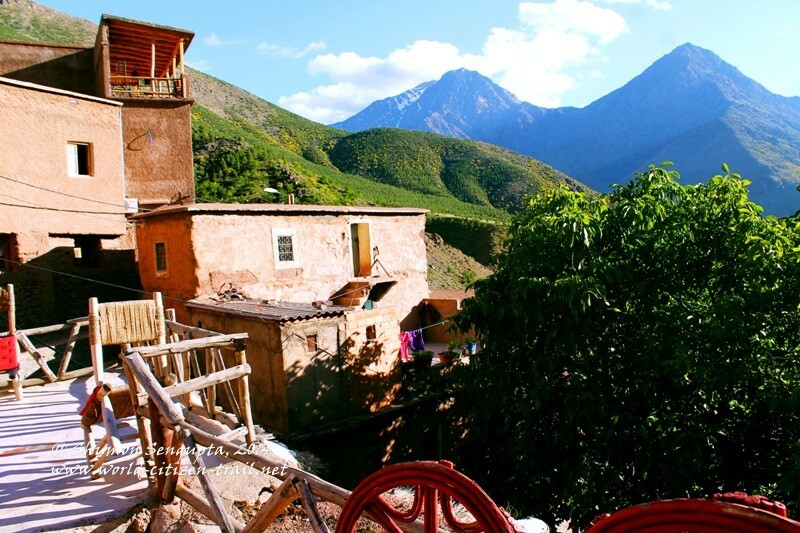 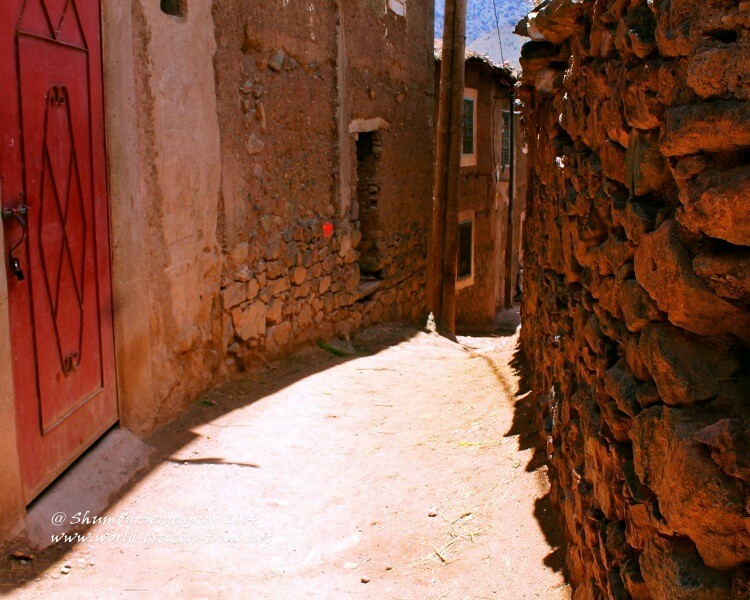 In one and half hour’s time, we arrived at the busy and touristy village of Imlil, in the shadows of the Toubkal Mountain – the tallest peak in North Africa. 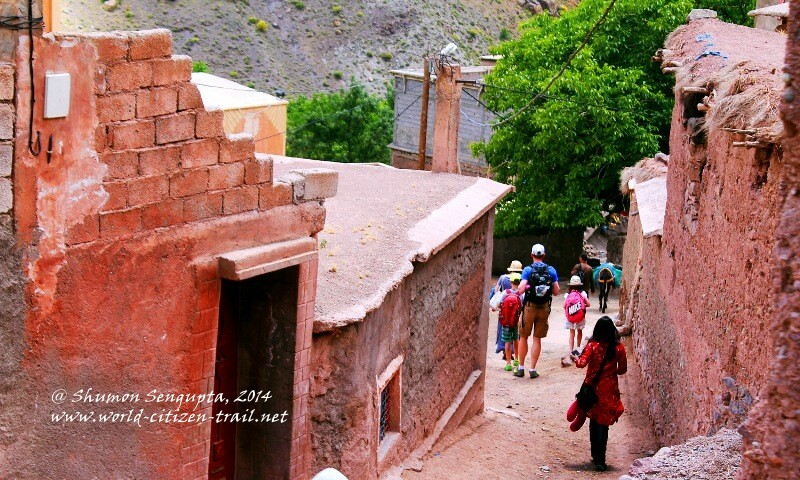 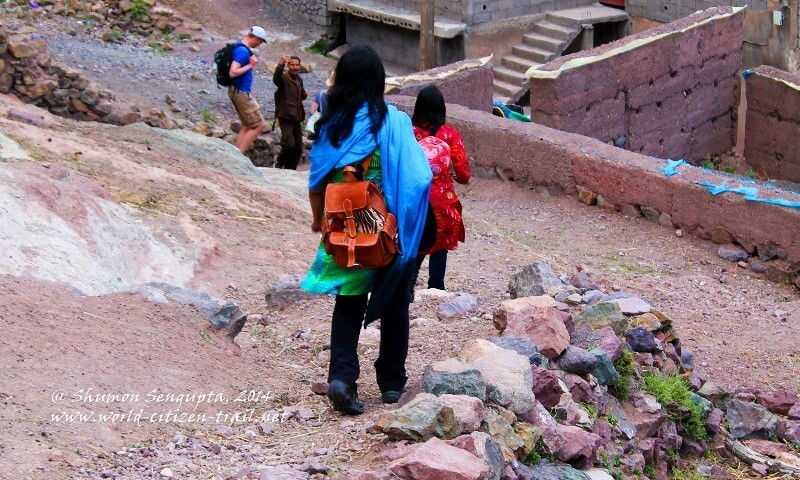 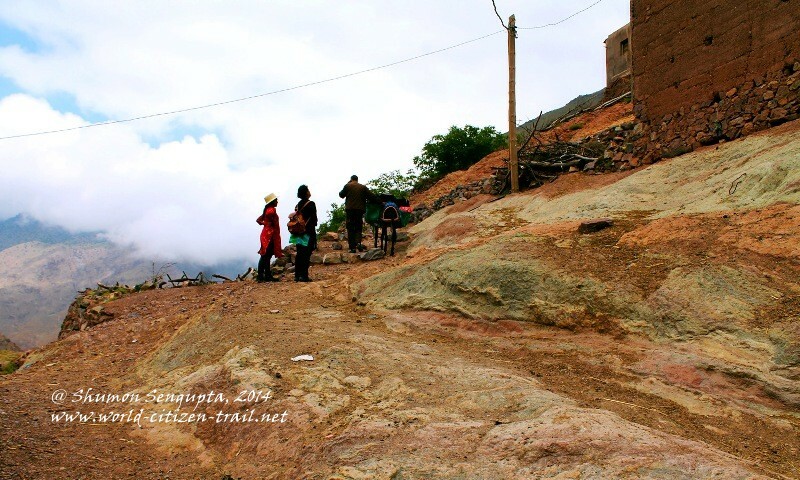 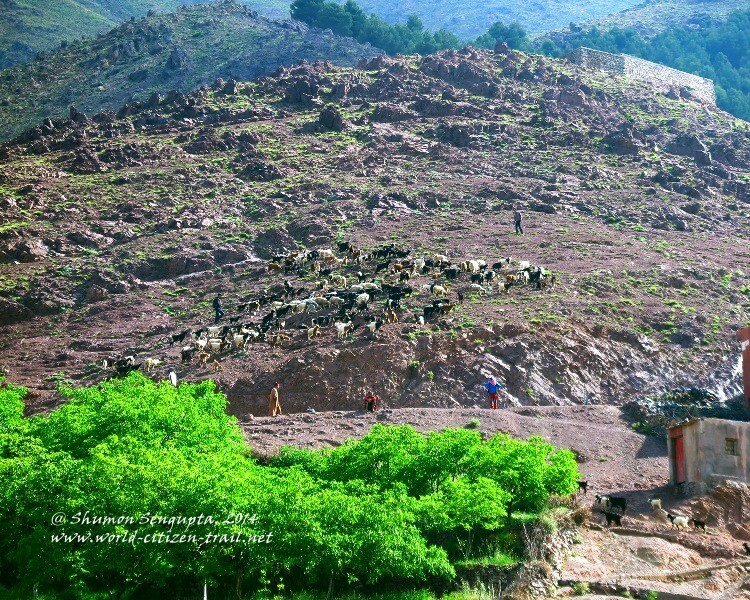 Leaving Imlil behind us, we climbed further up to arrive at the top of the tiny cliff-side hamlet of Tamartert. 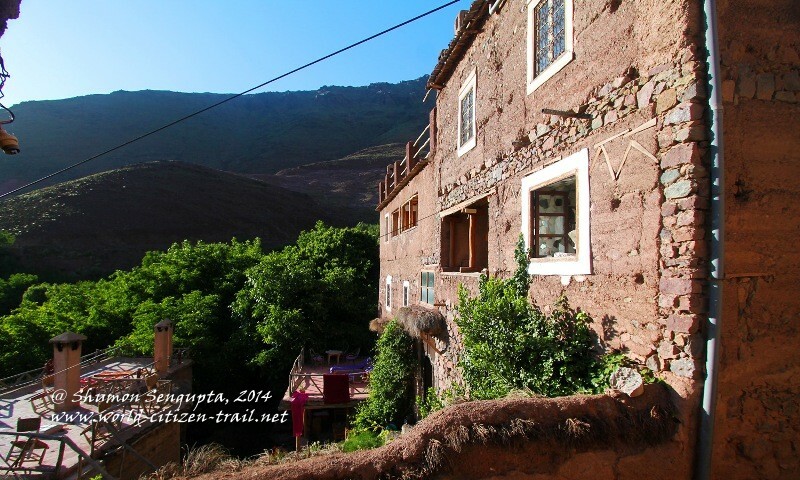 Our car dropped us by the roadside, where we loaded our luggage on a donkey and descended along a steep, narrow zig-zag path, past little mud houses, into the tiny and picturesque hamlet of Tamartert. 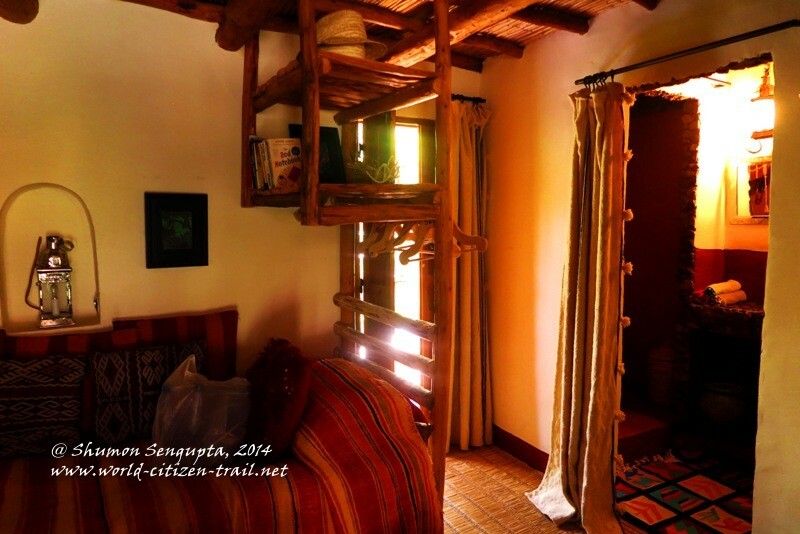 Located in the heart of the hamlet, we found our mountain guest house, Douar Samra, like a hidden jewel, tucked within a deep recess. 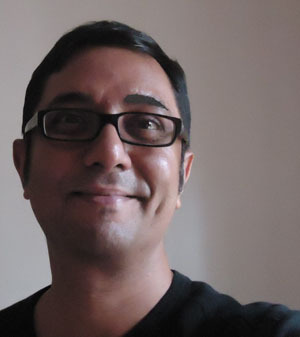 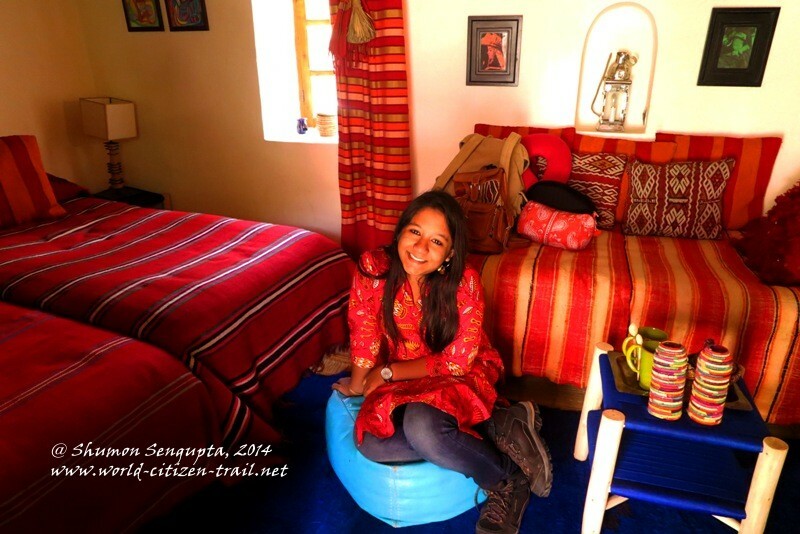 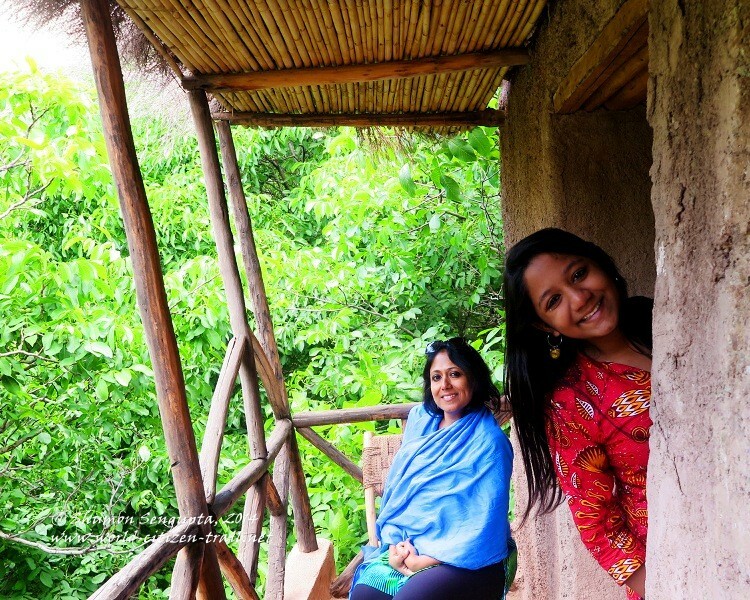 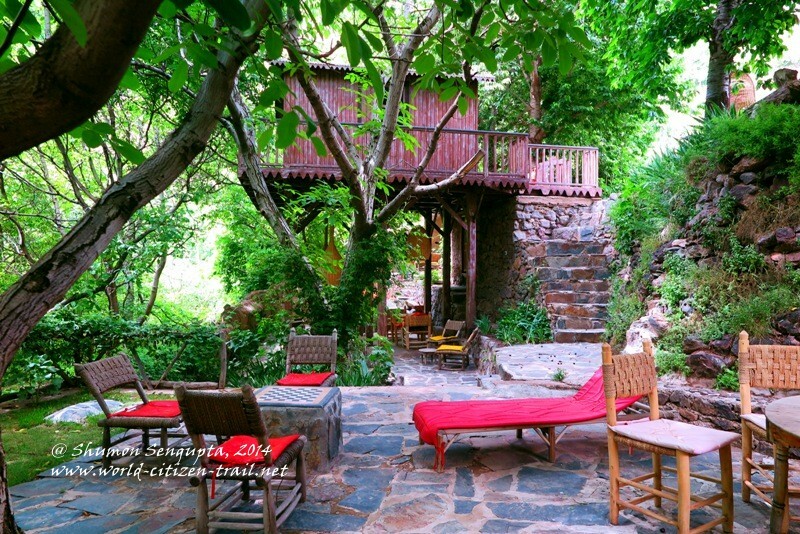 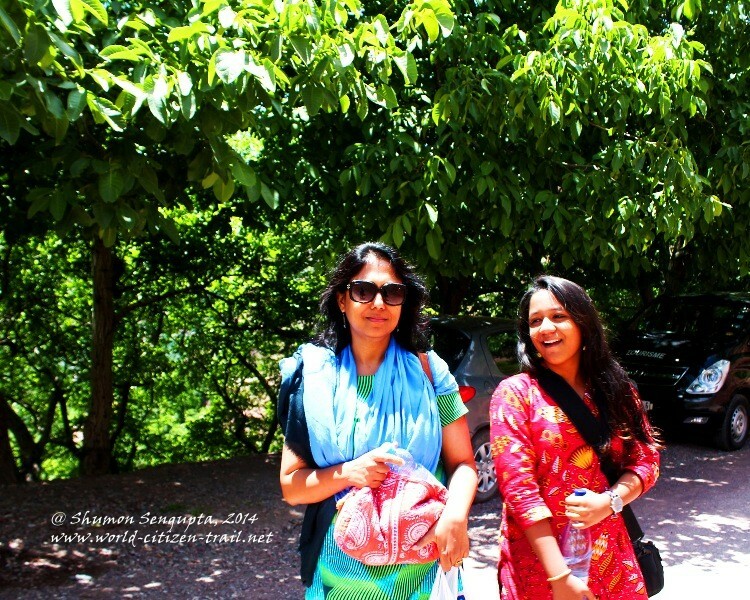 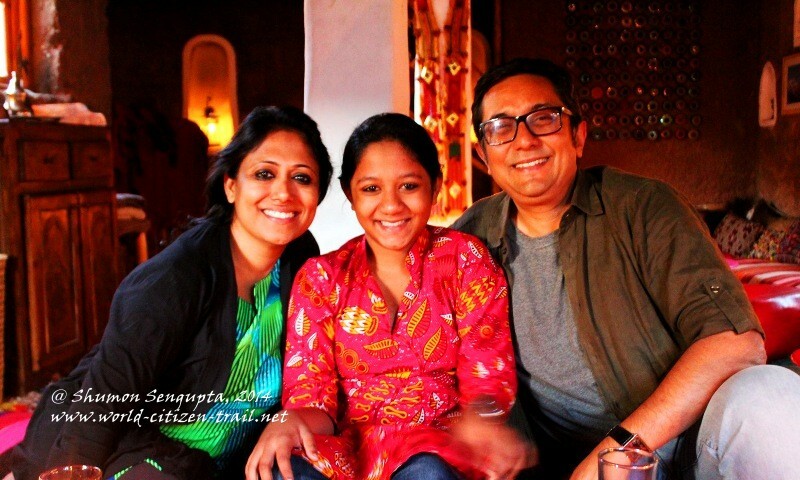 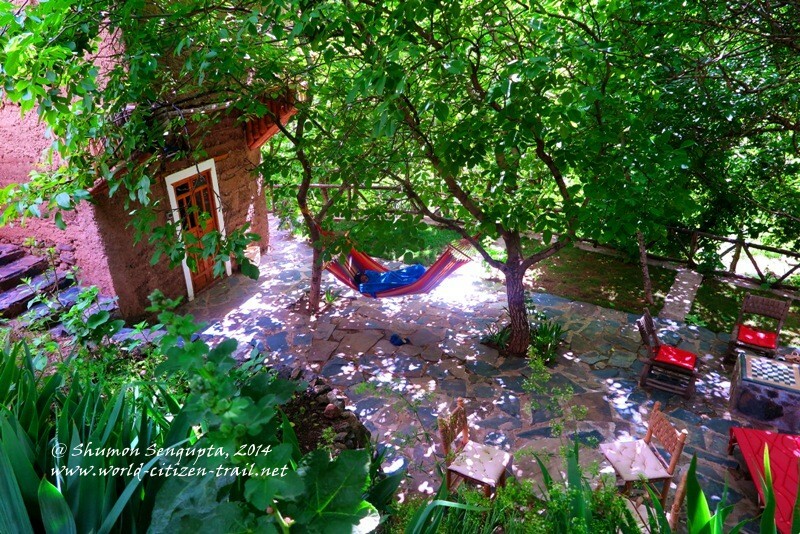 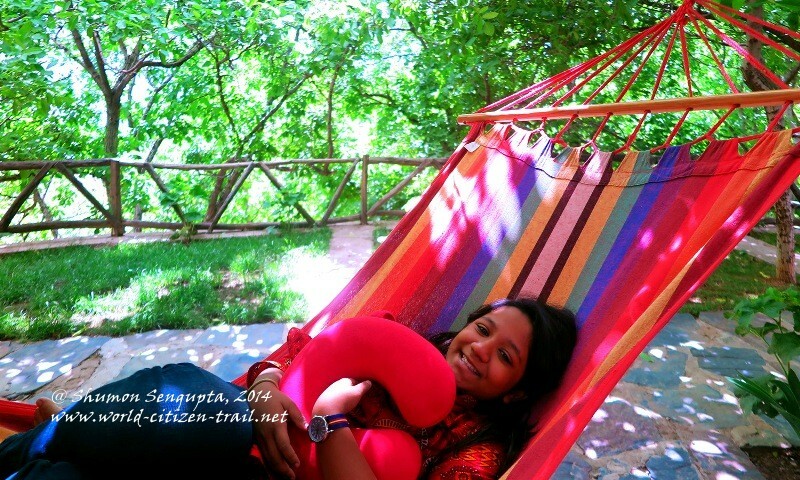 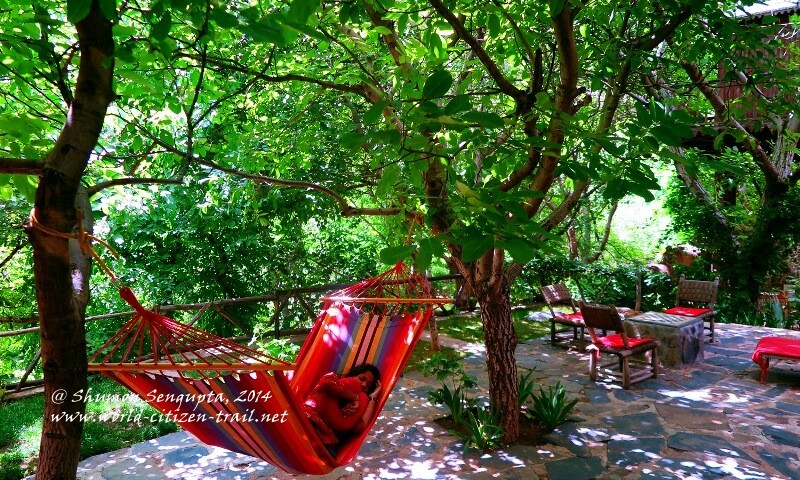 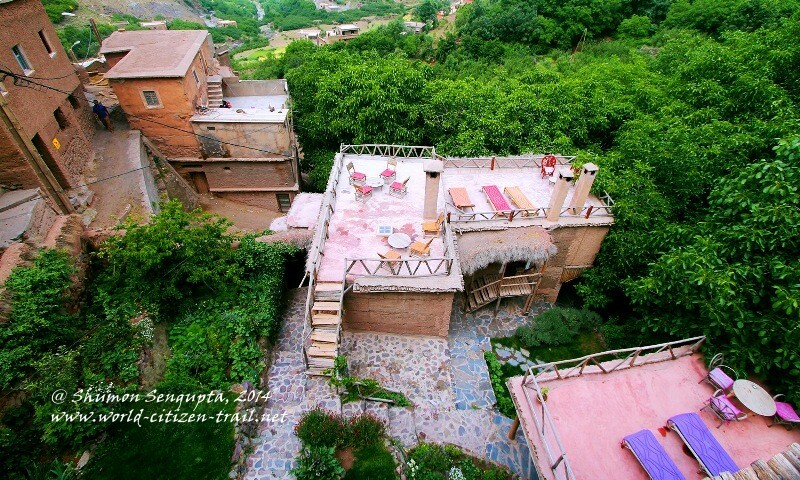 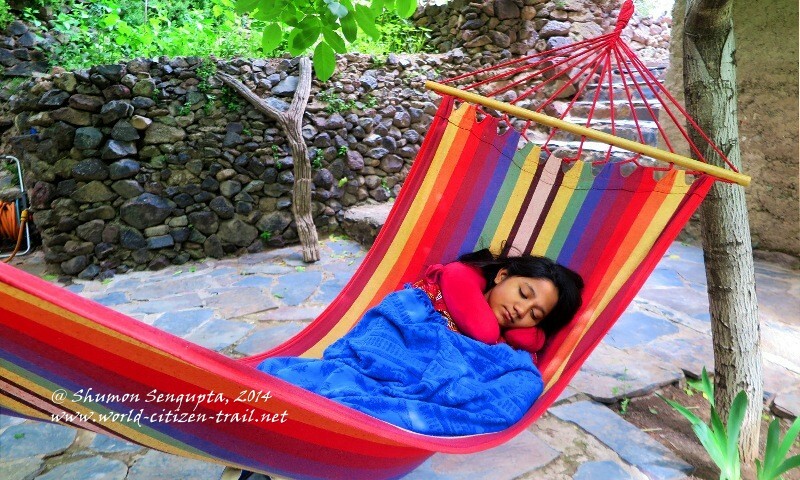 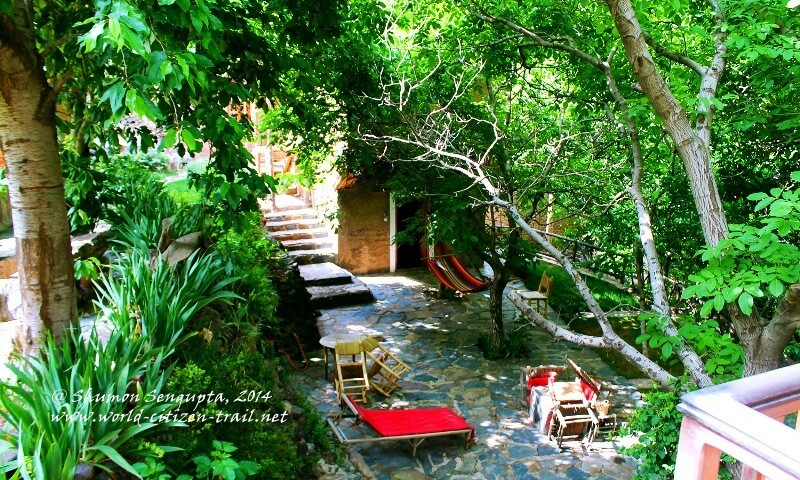 Overlooking the plummeting valley and shadowed by soaring mountains, the cliff-side guesthouse was set amidst a lush walnut and cherry groove and also had an organic garden which supplied fresh vegetables and herbs for the kitchen. 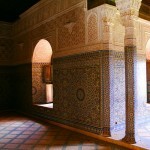 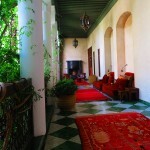 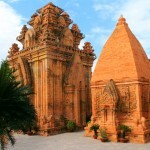 Built of stone, clay and wood, Douar Samra blend seamlessly into the landscape and was an abode of peace and tranquility. 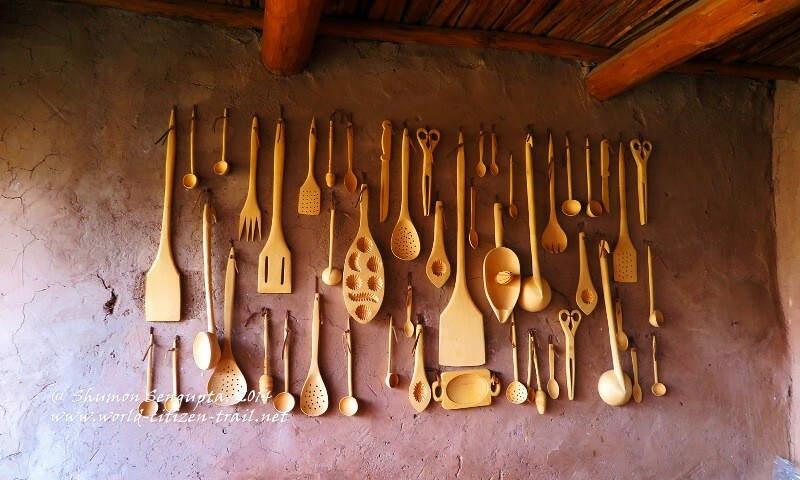 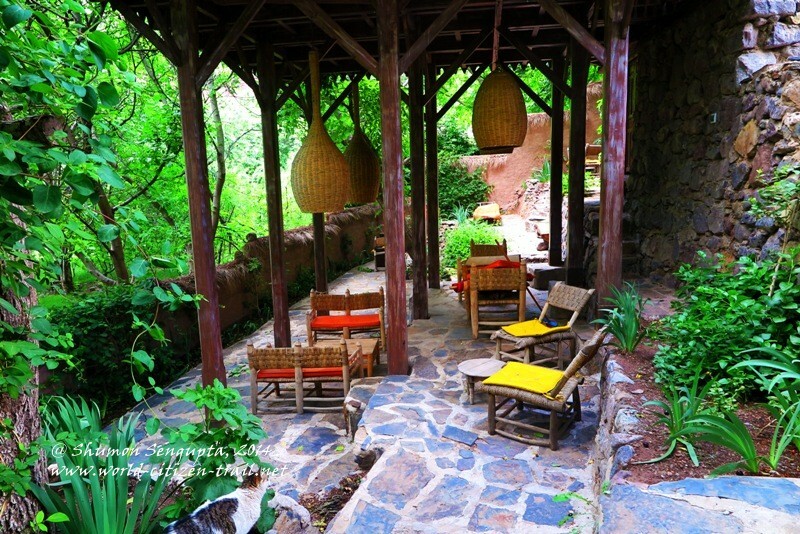 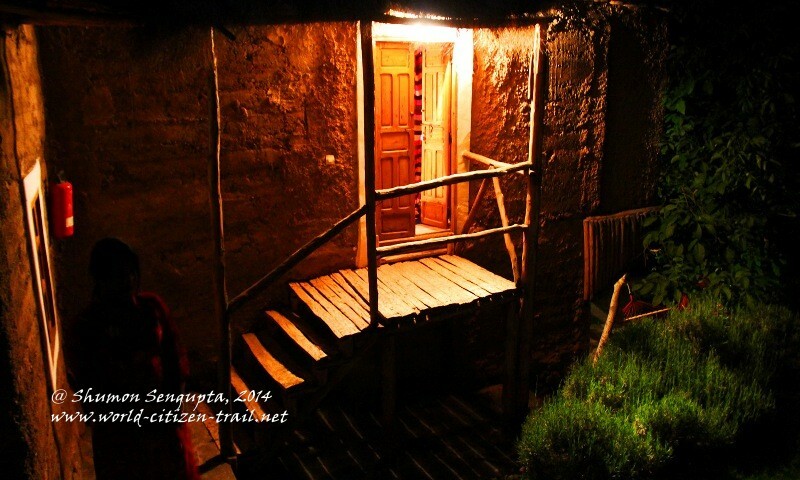 Exquisitely decorated using local materials, hand-loom and other handicrafts, this down to earth mountain guest house was a feast for the senses. 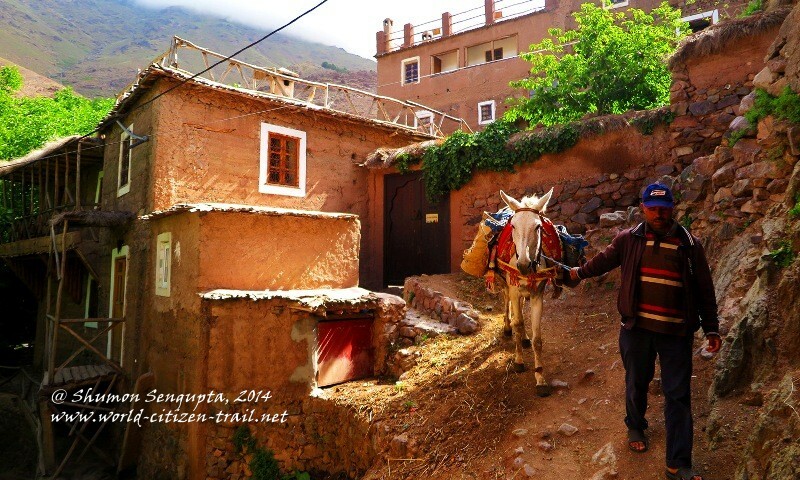 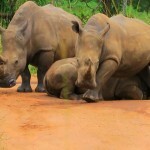 Douar Samra came with its resident donkey called Joule. 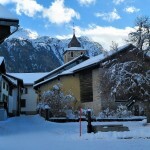 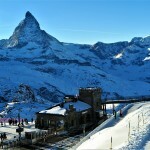 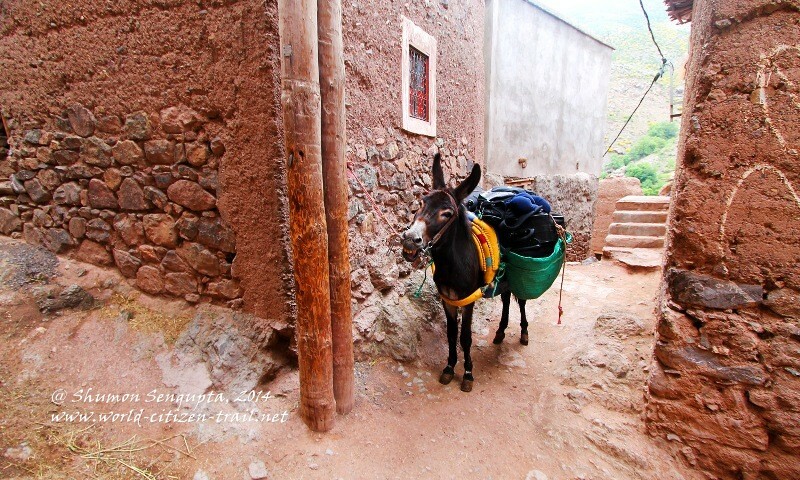 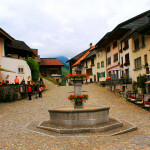 In fact it was Joule who brought our luggage all the way down to the village. 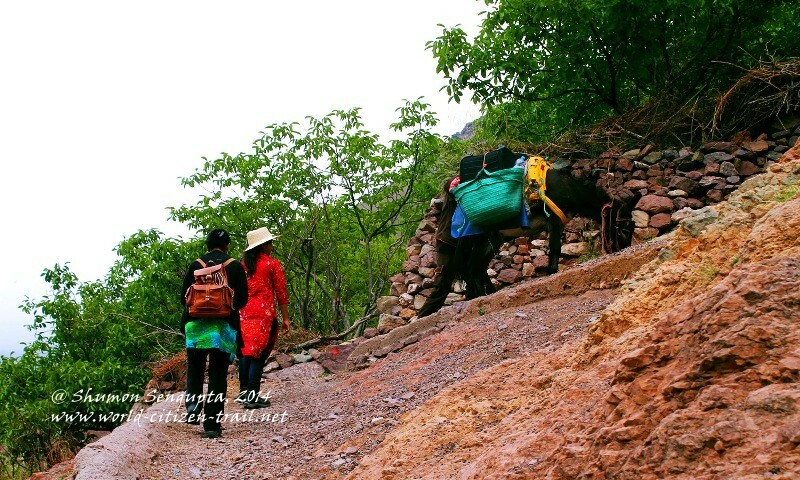 Our daughter, Minnie wanted to pet Joule but we were told that the donkey had a bad temper and was given to kicking and biting human beings when in a bad mood. 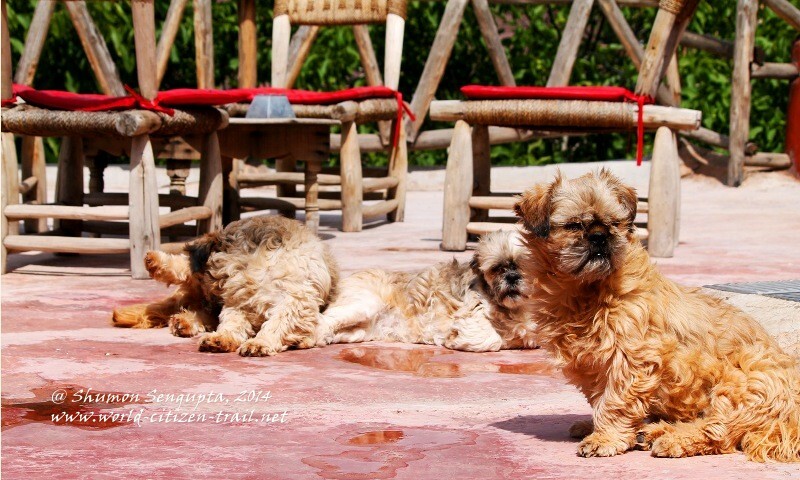 Minnie backed off quickly and we had a good laugh. 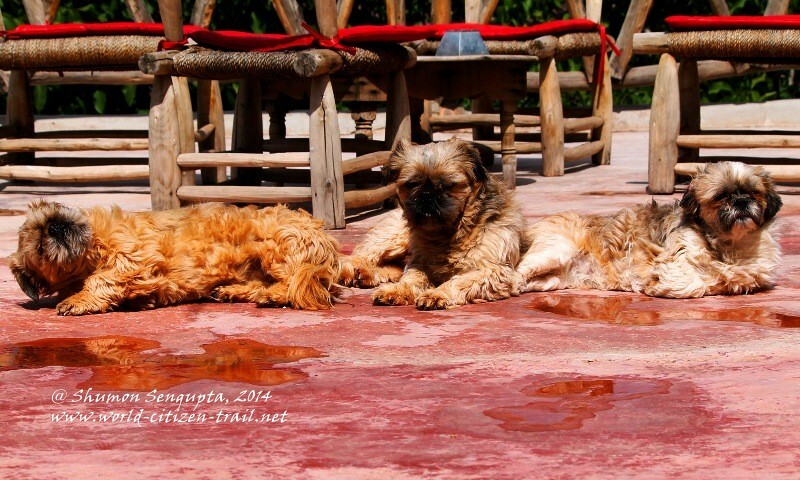 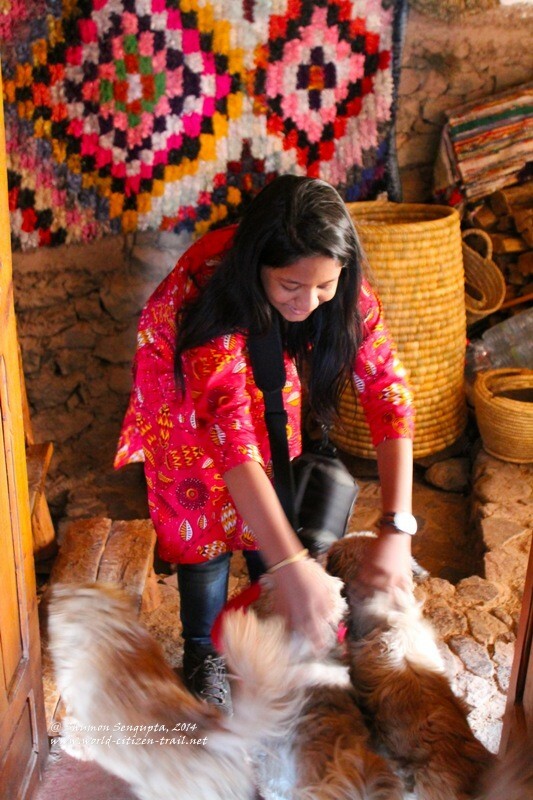 There were three lovely and playful little dogs which were amenable to petting though. 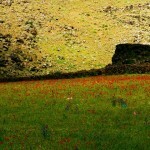 And that was not all. 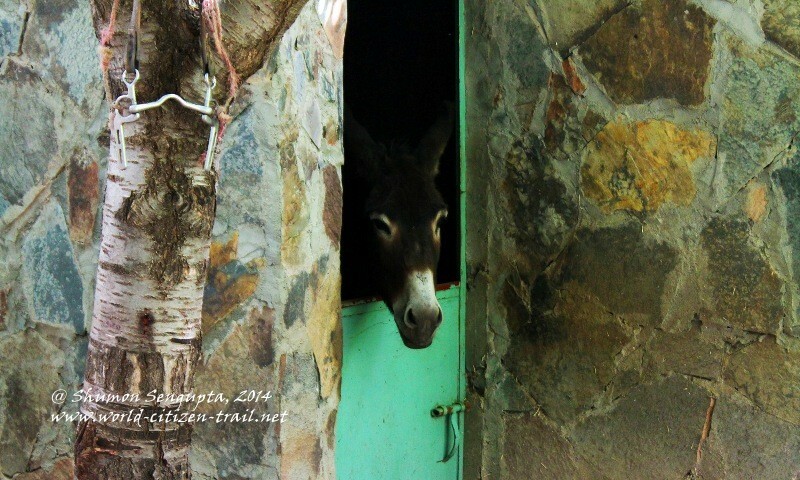 Joule was given to braying loudly in the oddest possible hour, including deep in the night and early in the mornings. 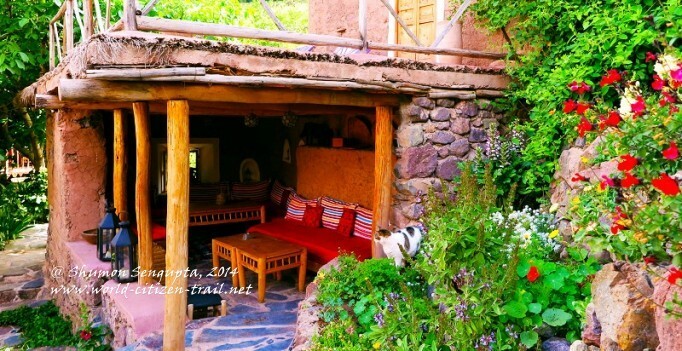 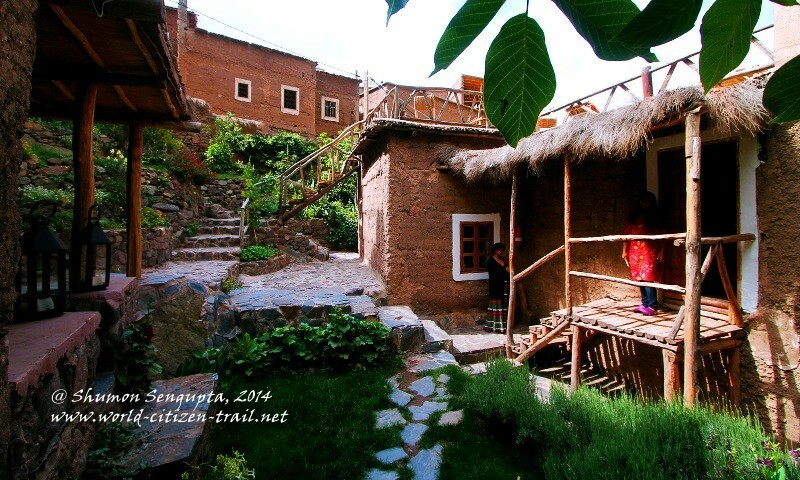 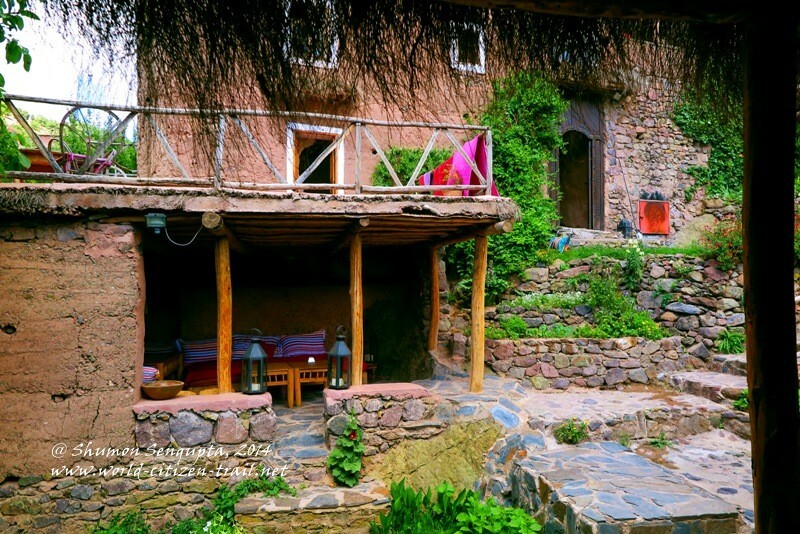 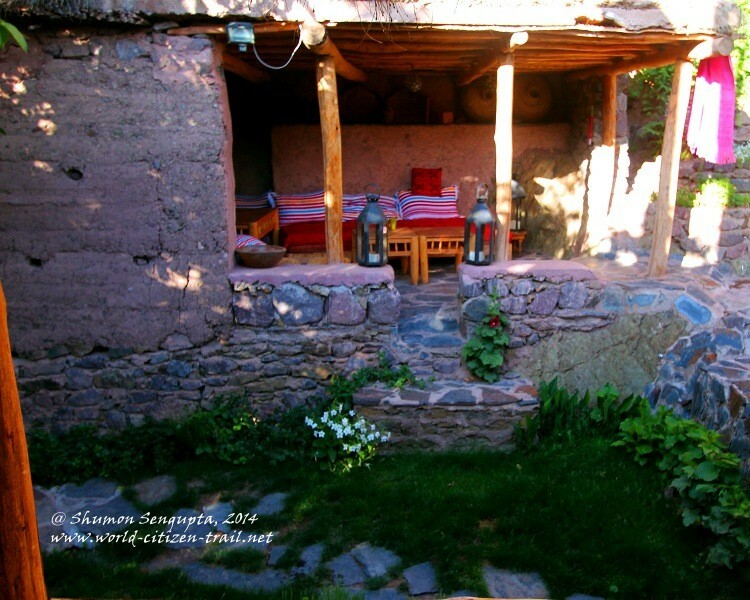 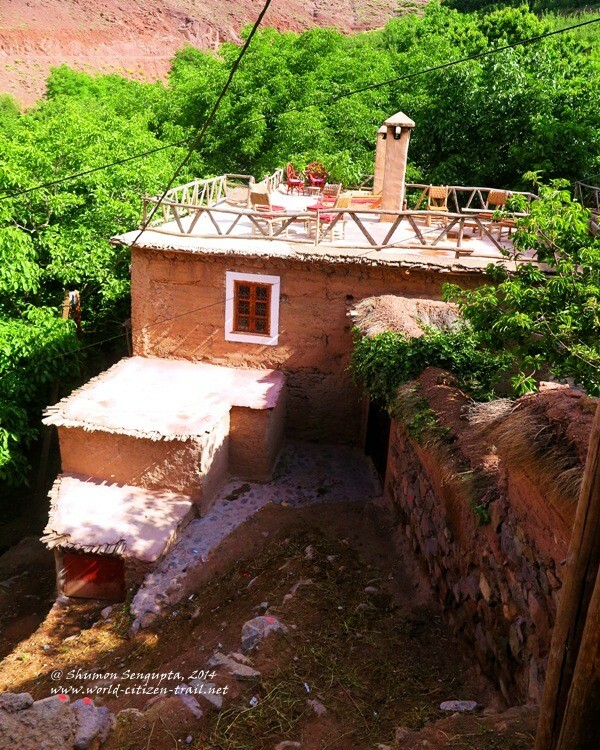 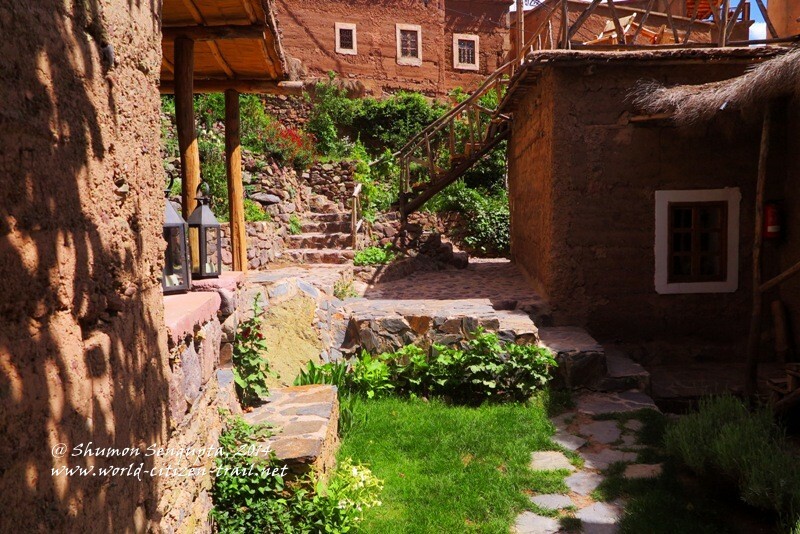 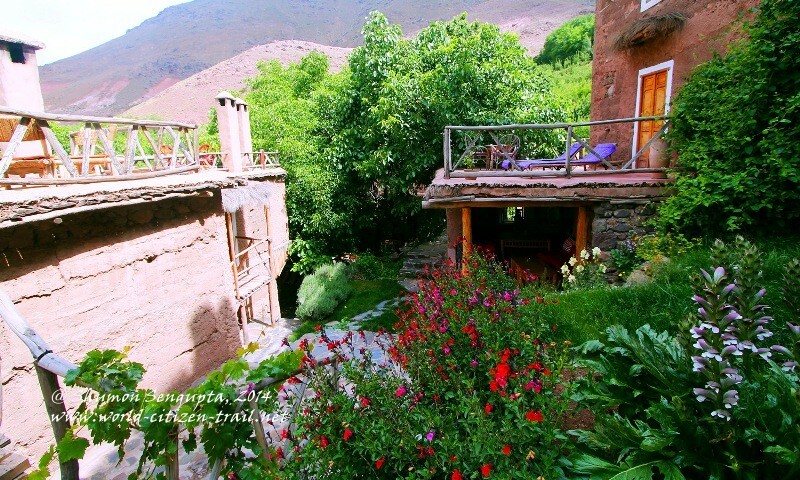 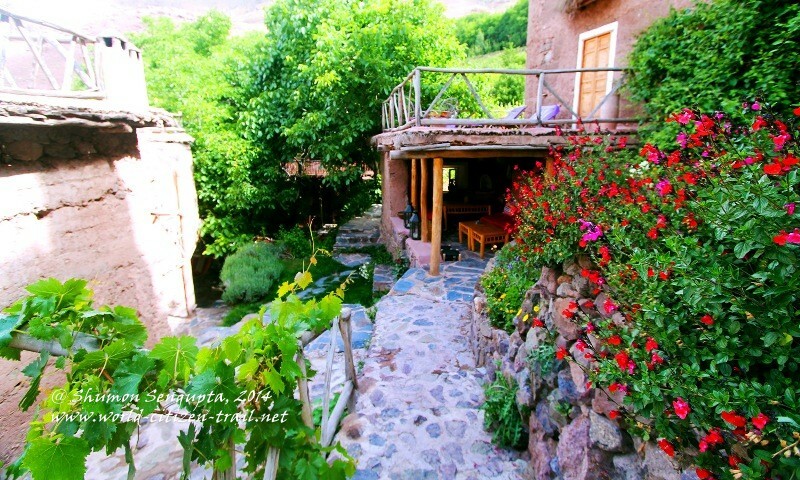 We spent three magical days and nights in this remote, isolated place in the High Atlas, waking up early morning to the excited braying of our resident donkey, who compensated well for the lack of a rooster. 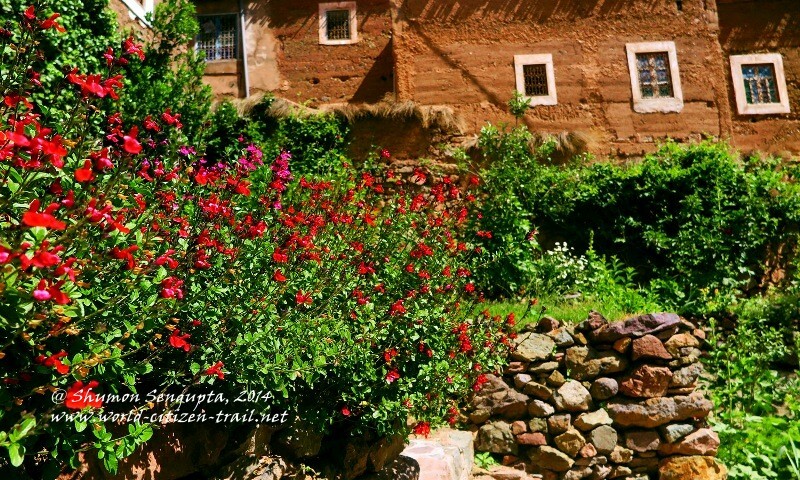 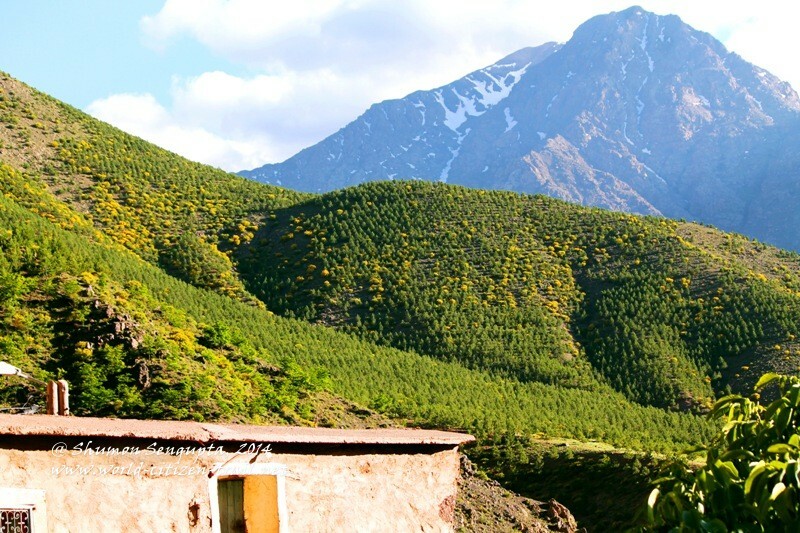 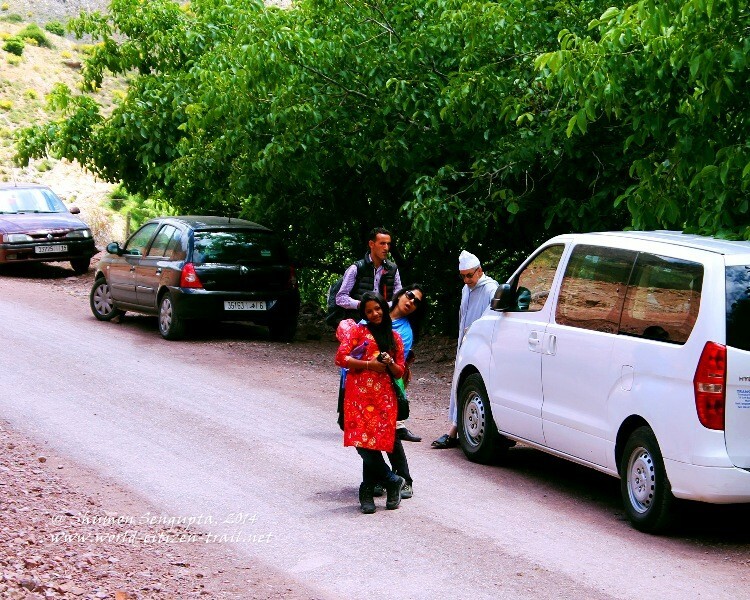 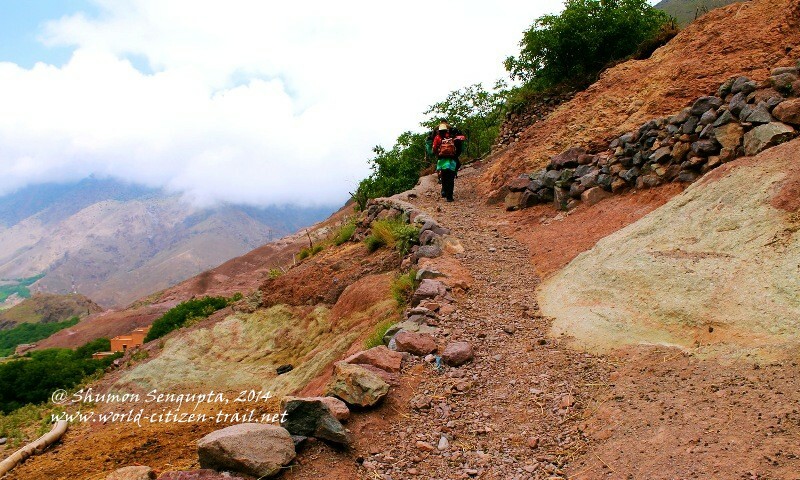 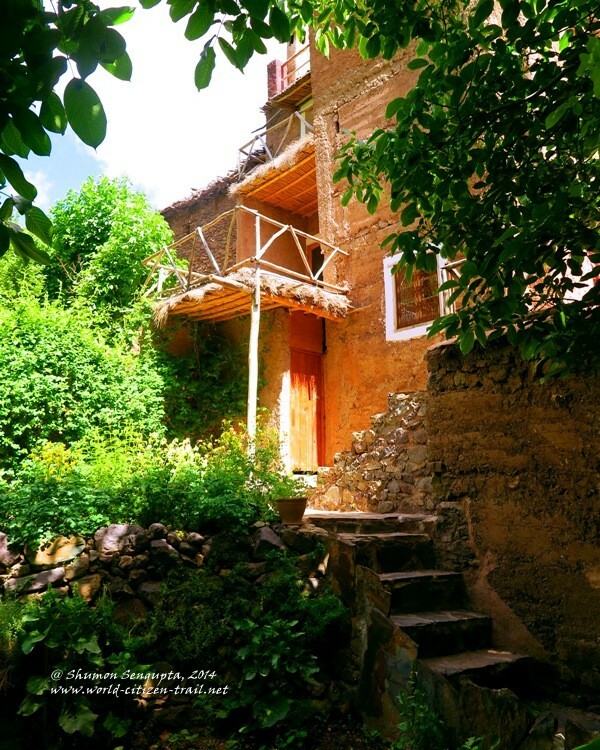 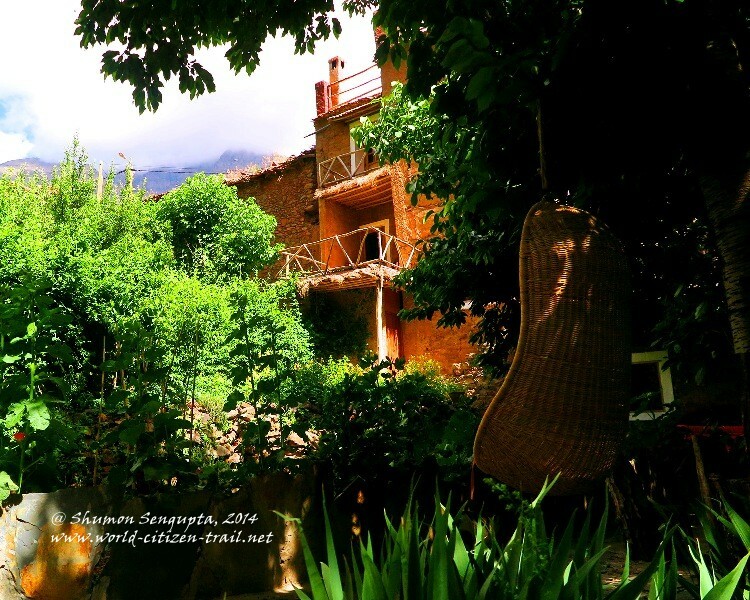 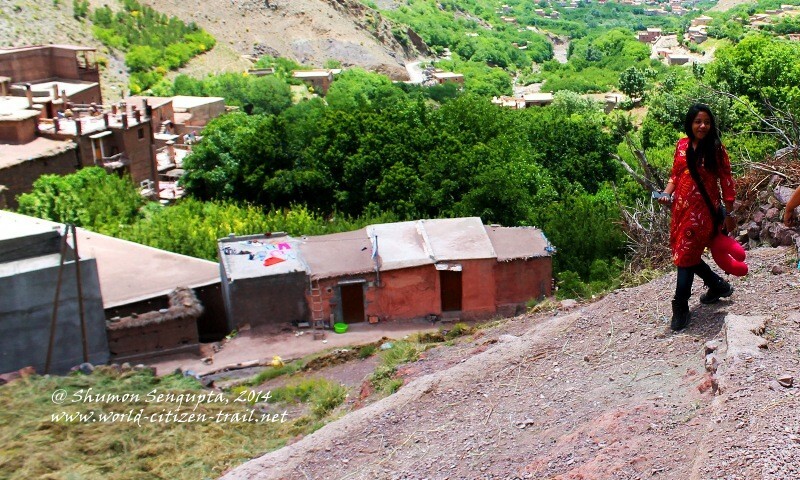 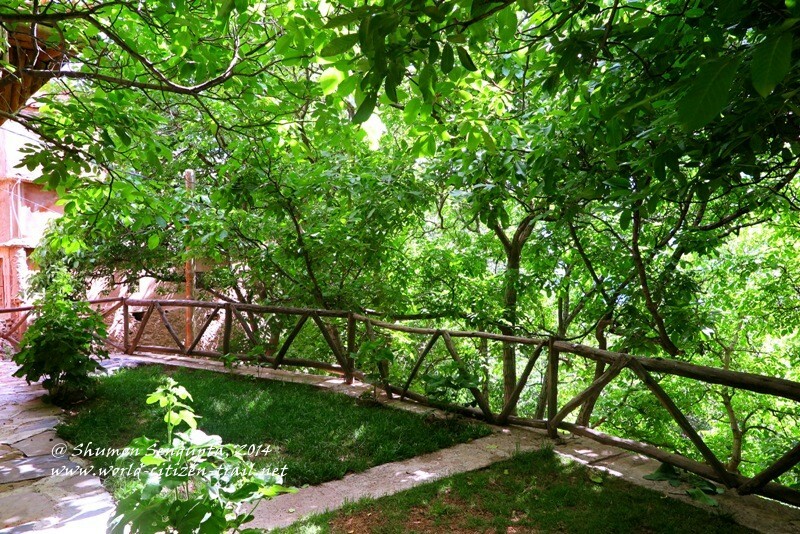 We also trekked into the high Atlas mountains in the mornings and spent lazy afternoons, under the groove of walnut and cherry trees. 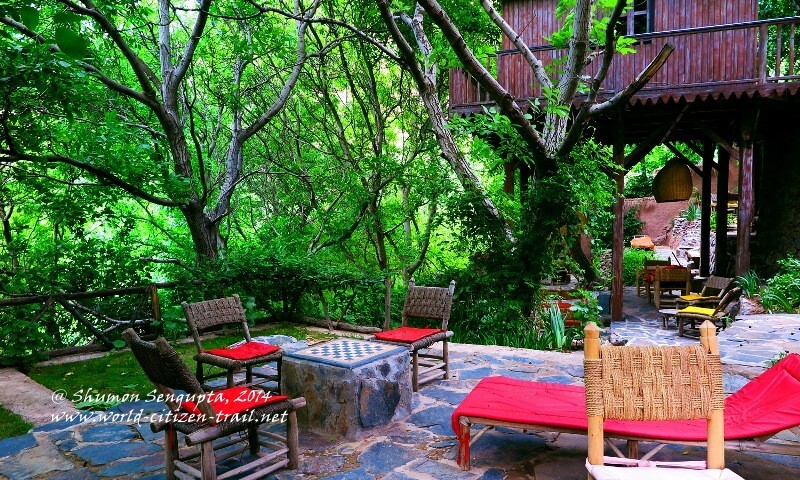 We spent long hours, simply sitting in silence, breathing in crisp mountain air and listening to the breeze rustling through the trees and water gurgling and tumbling over rocks. 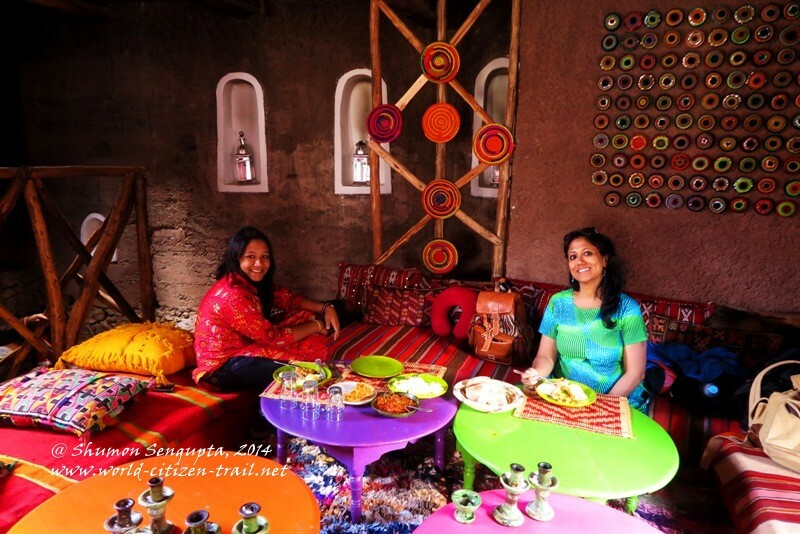 The food served at Douar Samra was out of the world. 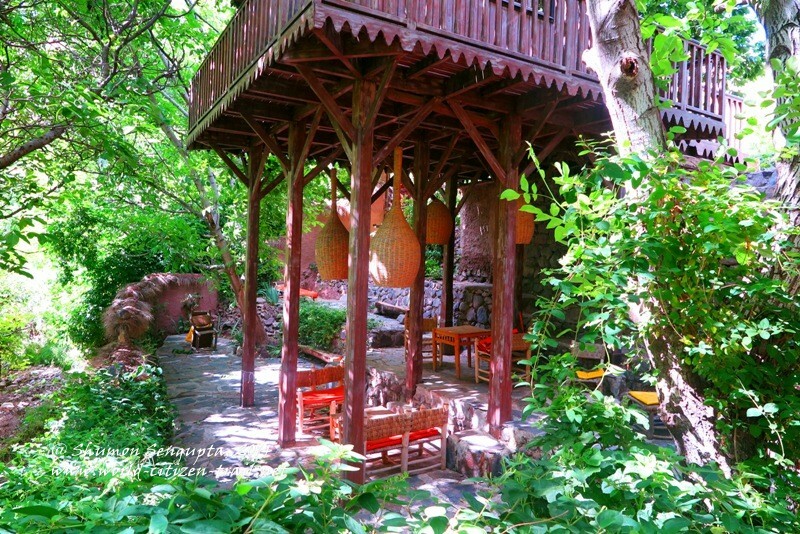 Since Minnie and I did not eat meat, special vegetarian meals was prepared for us. 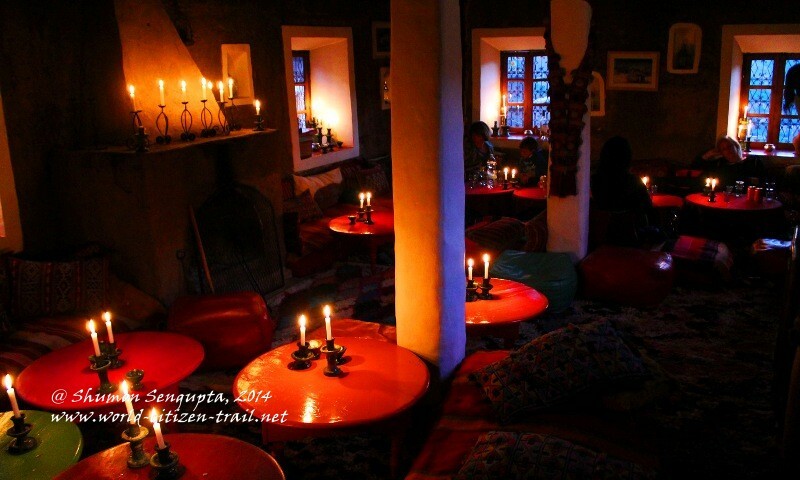 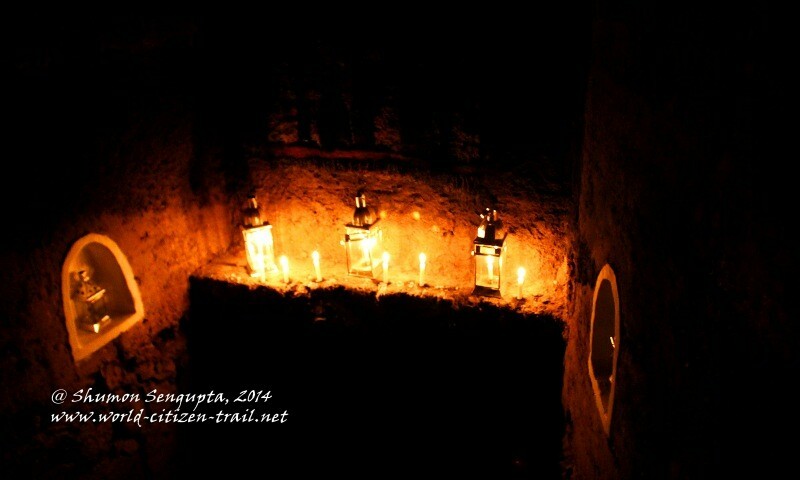 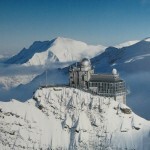 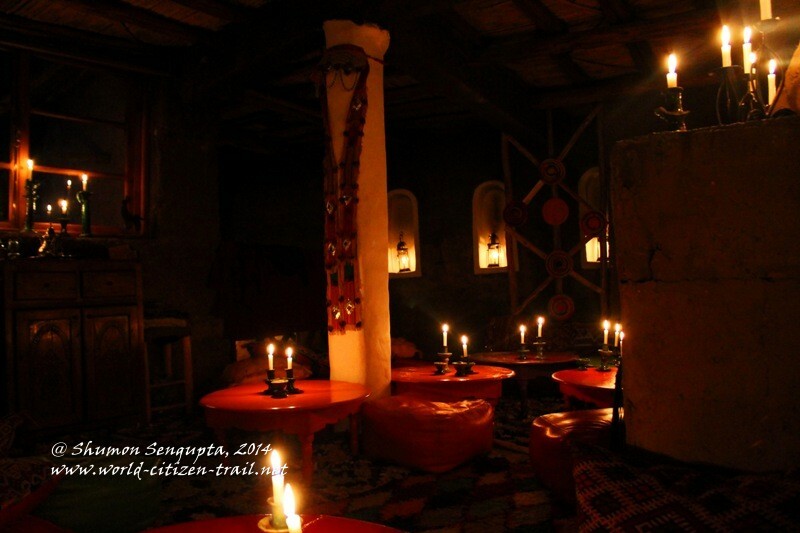 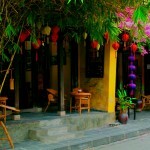 We spending the evenings in the candle-lit common dining area, chatting with each other and with other travelers. 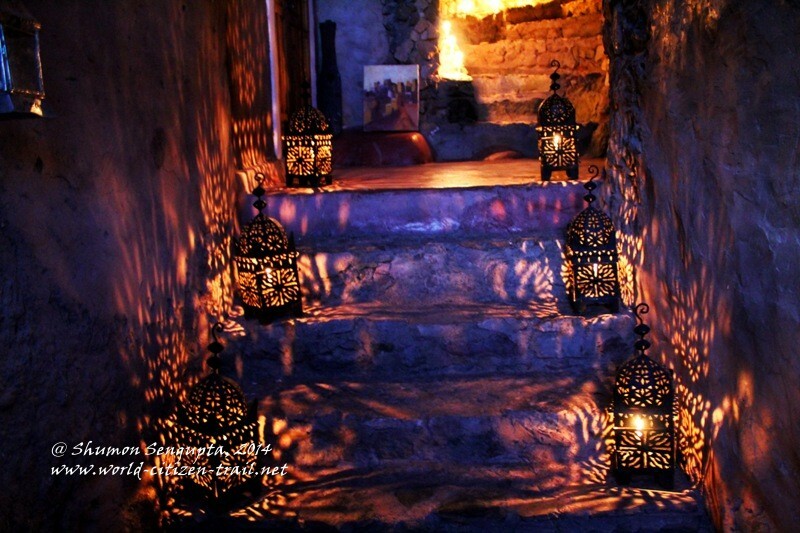 As the evening wore into the night, in flickering candlelight, I read out spine chilling ghost stories to Minnie; from time to time, muffled voices of villagers floated in from a distance, as shadows thrown by flickering candle flames danced on the stone walls around us. 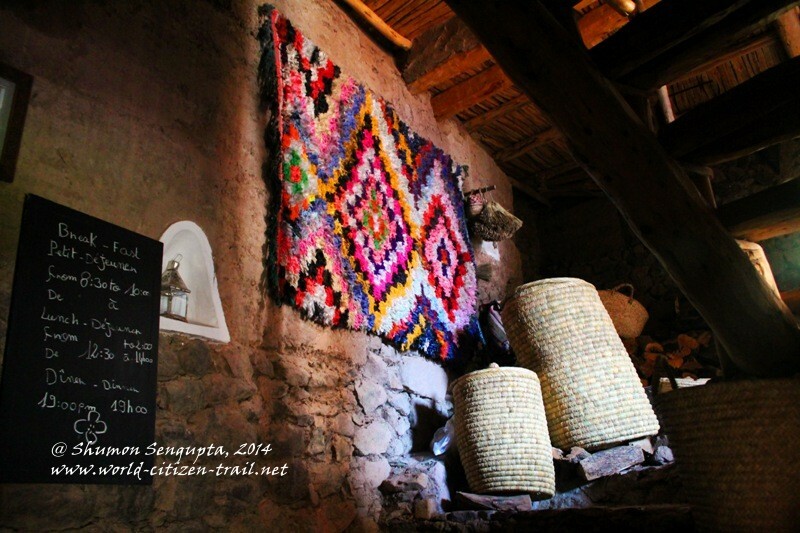 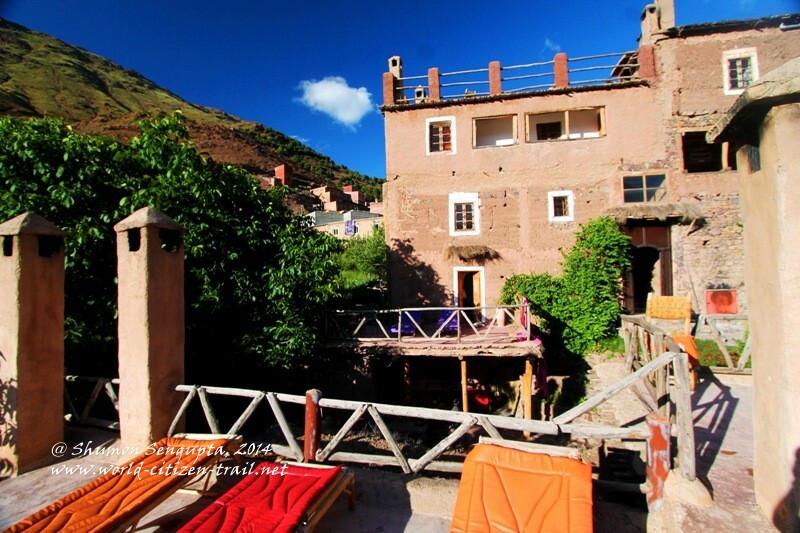 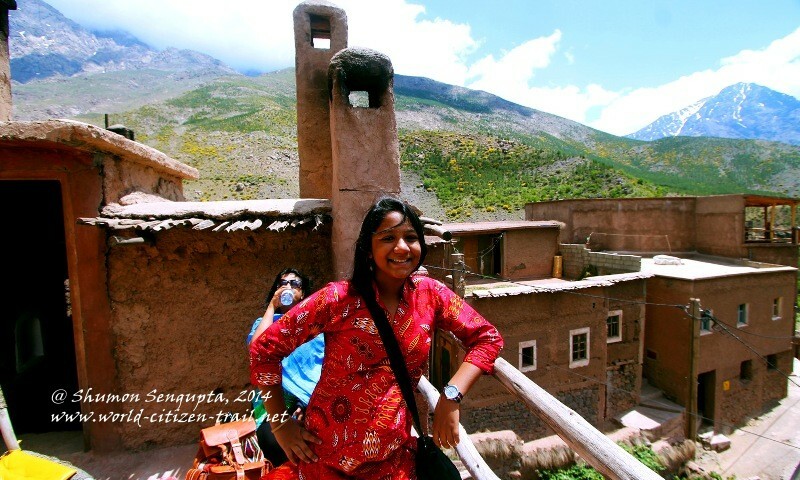 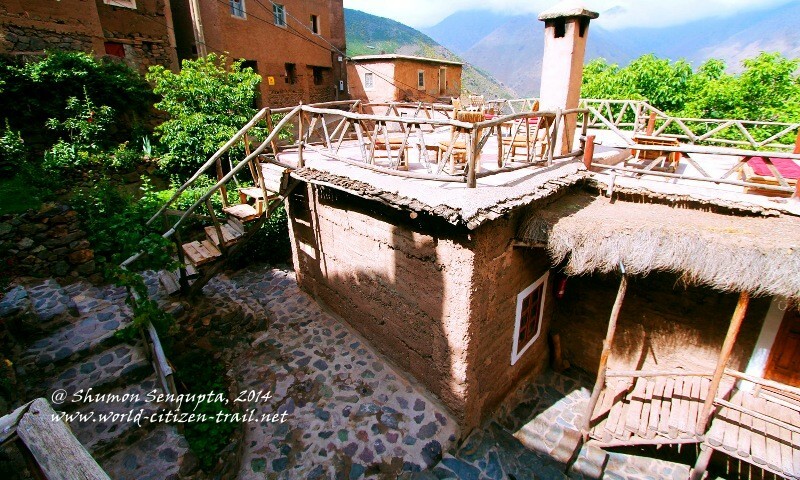 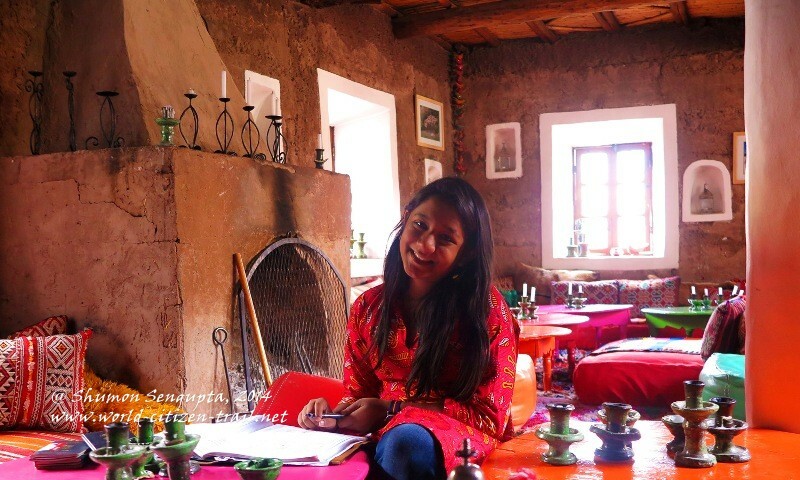 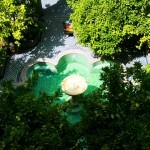 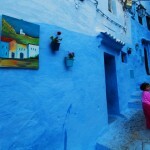 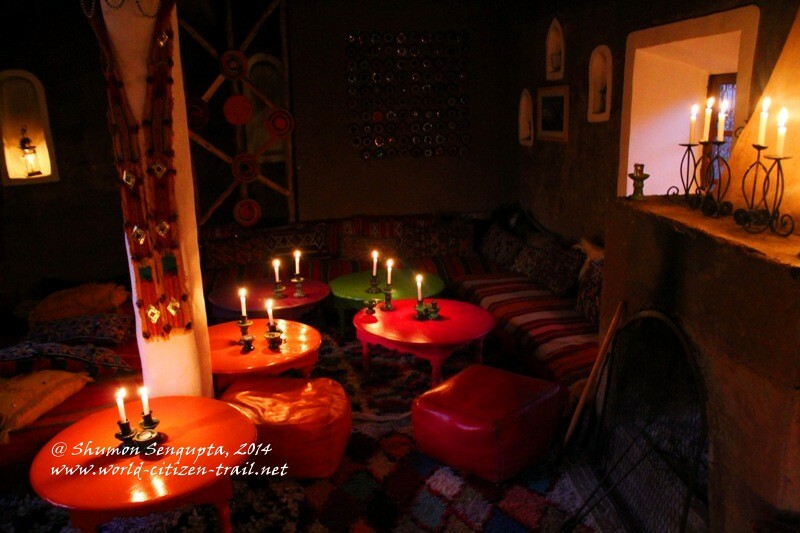 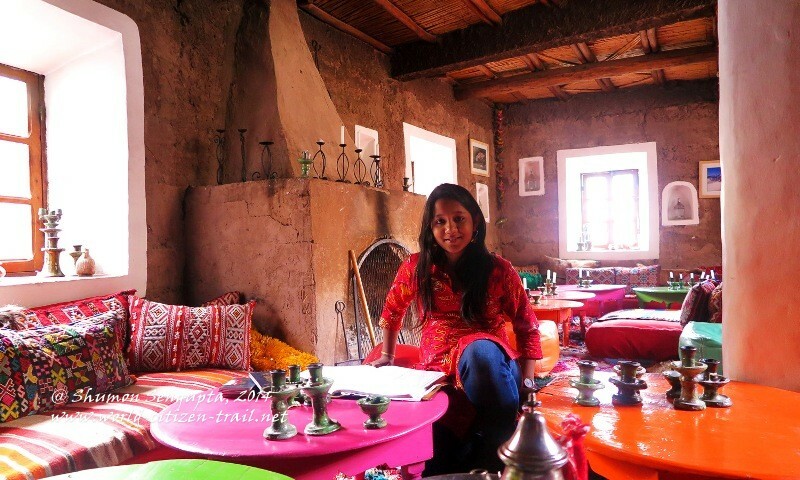 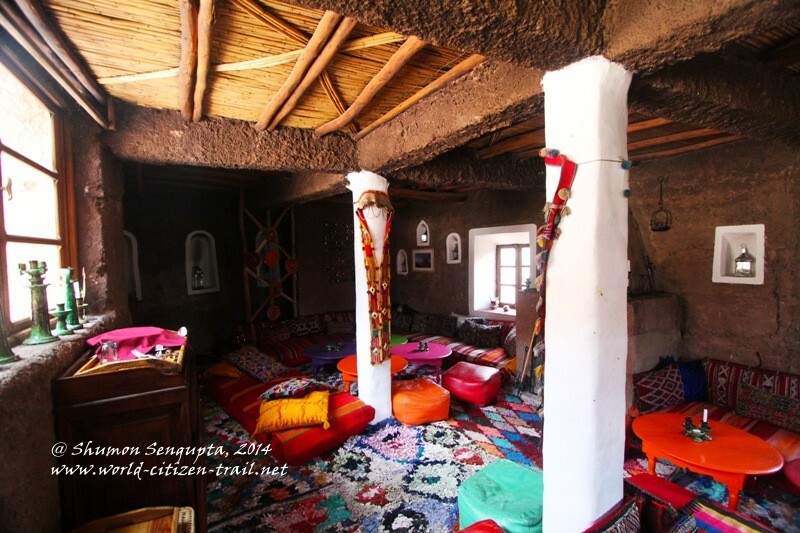 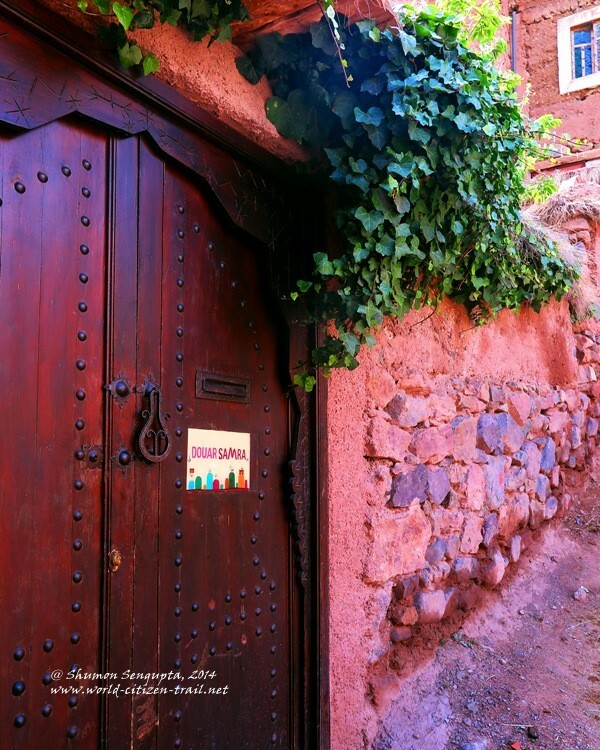 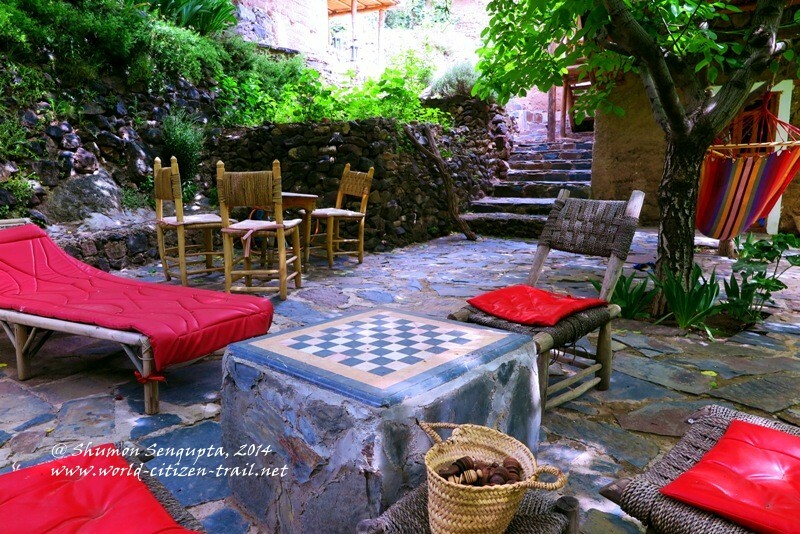 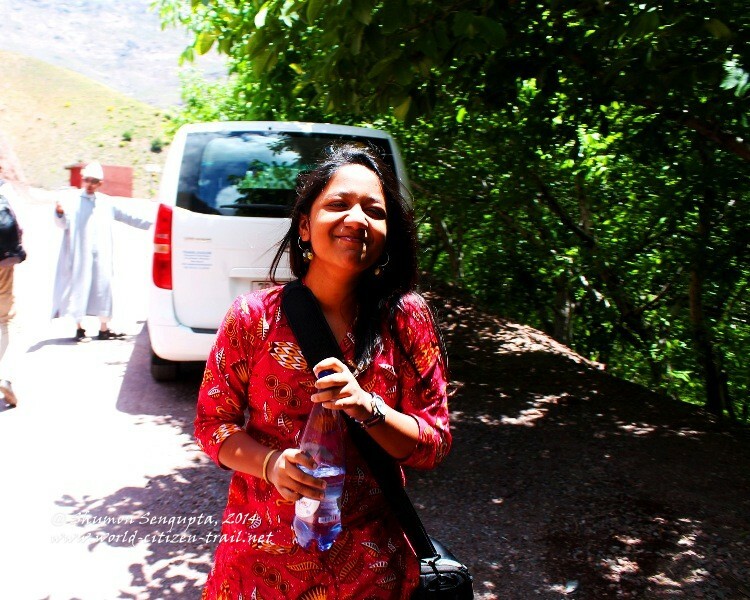 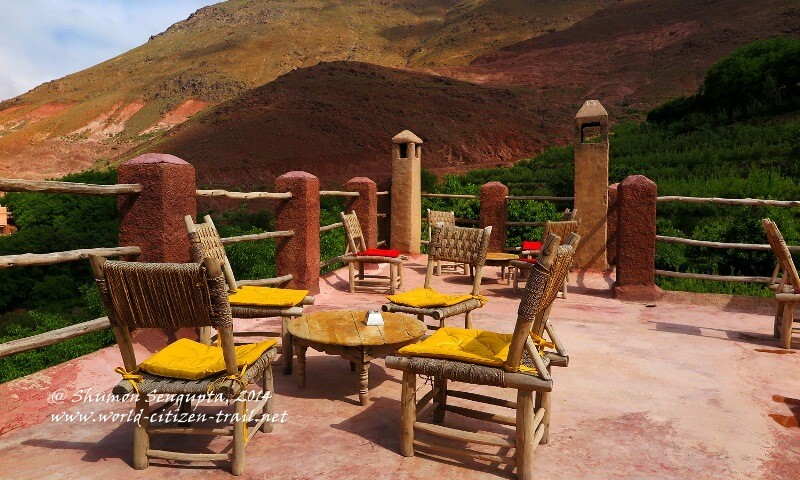 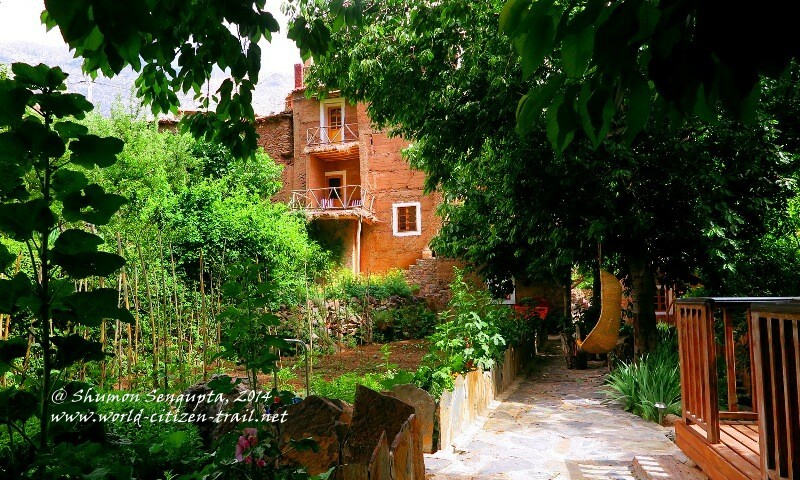 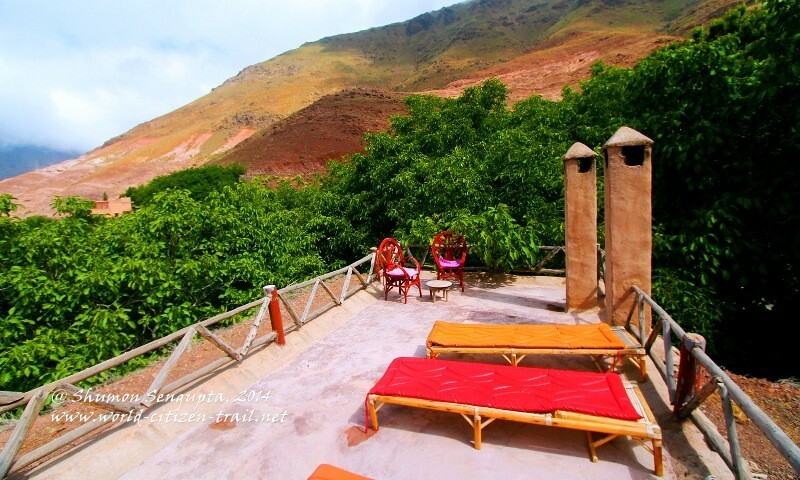 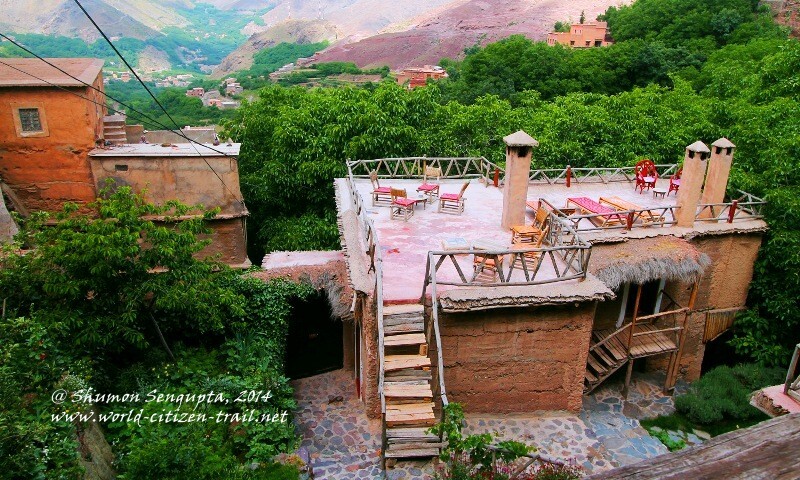 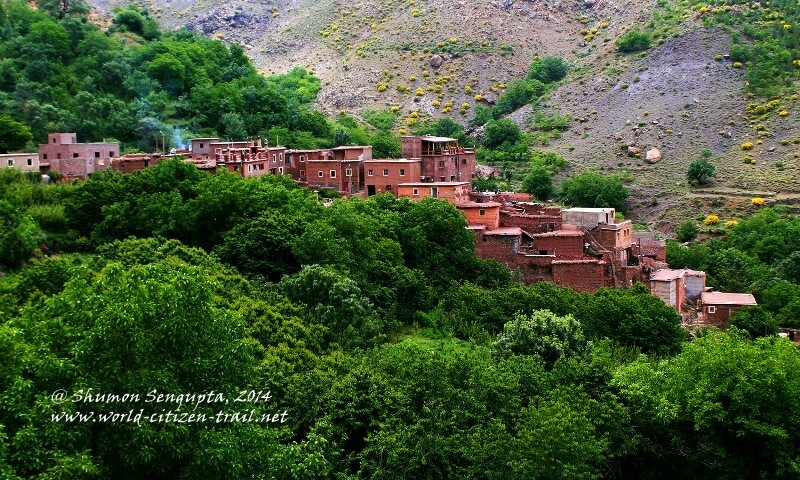 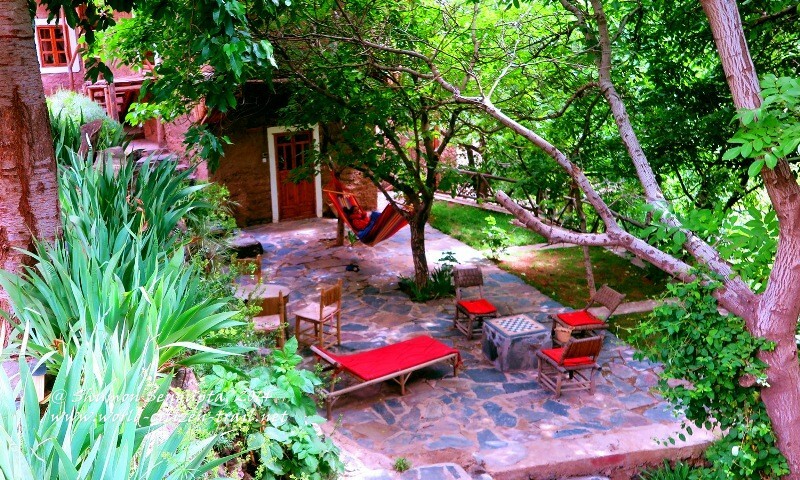 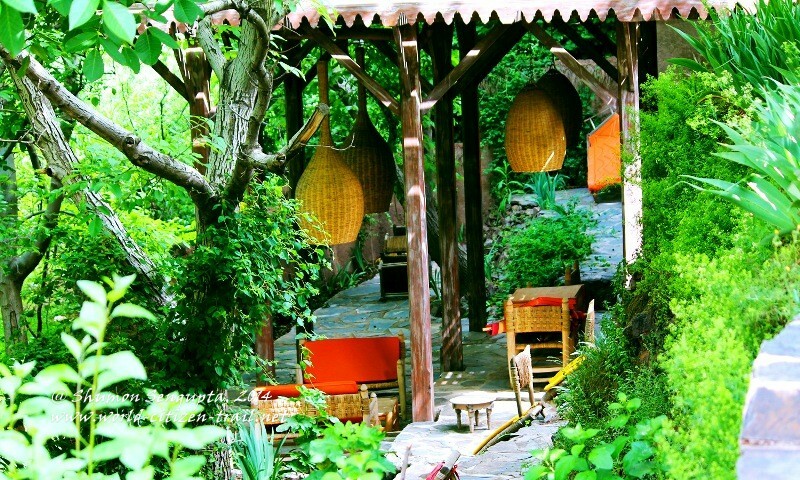 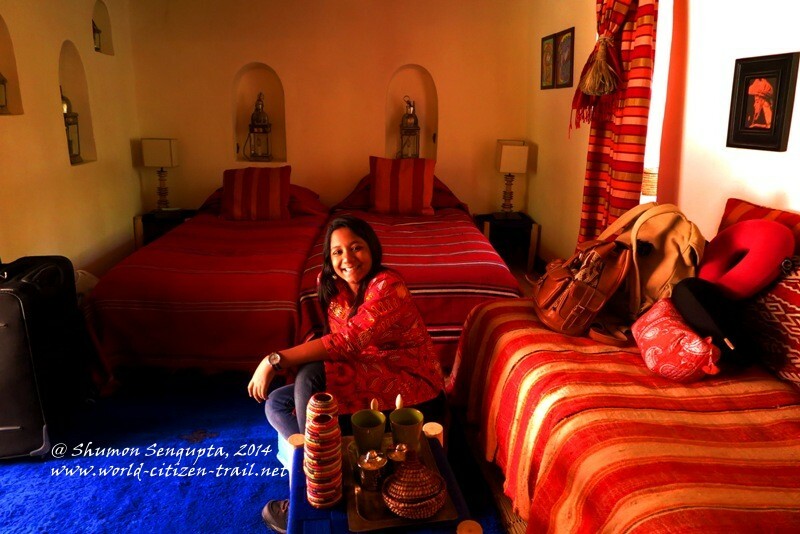 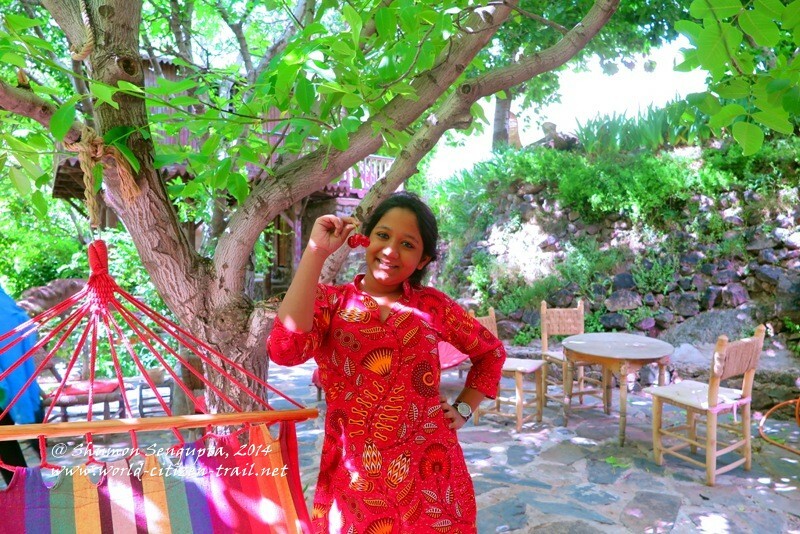 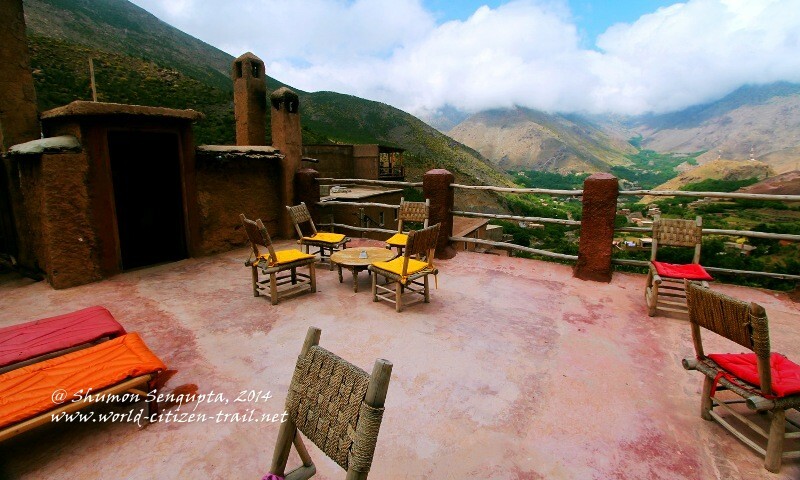 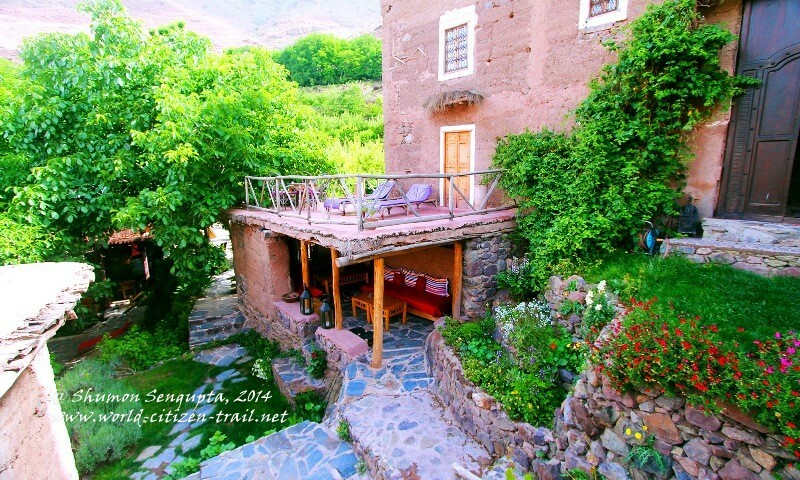 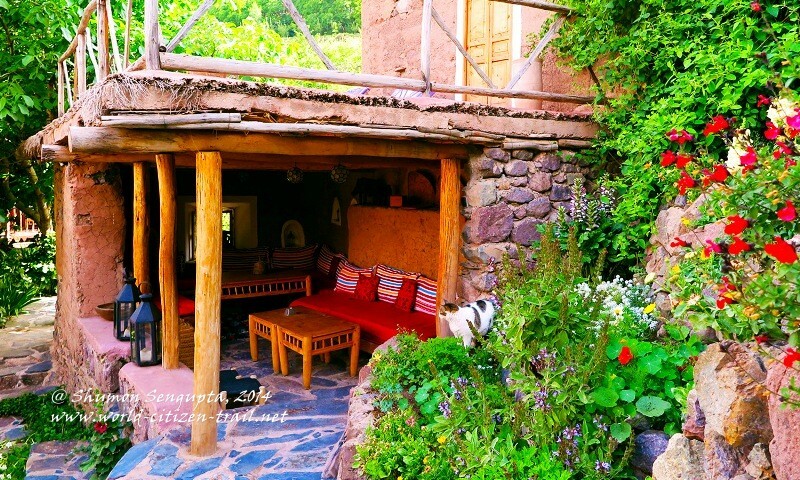 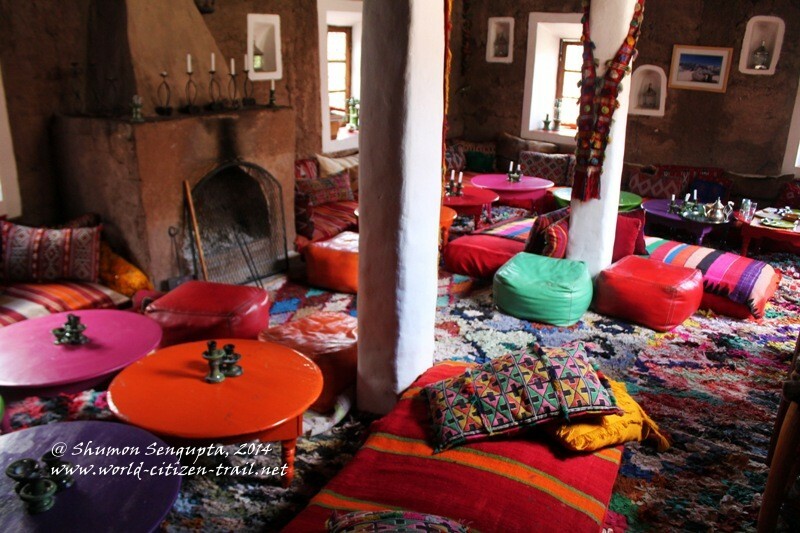 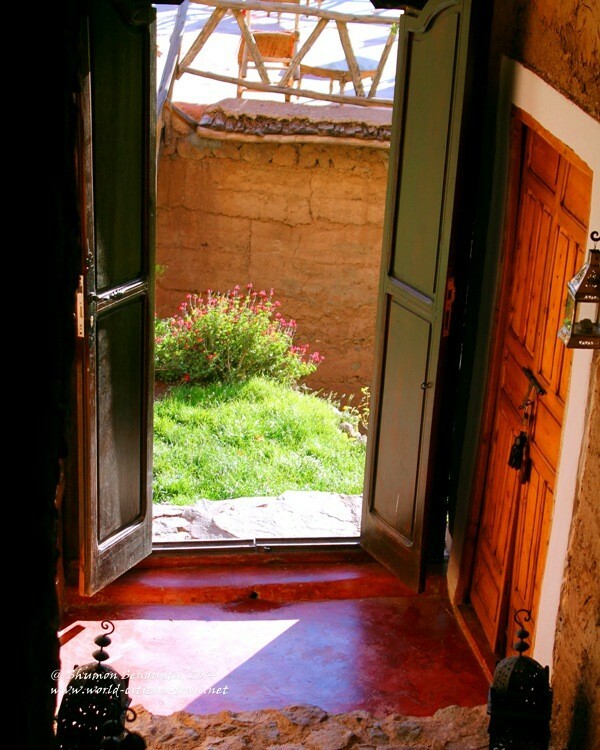 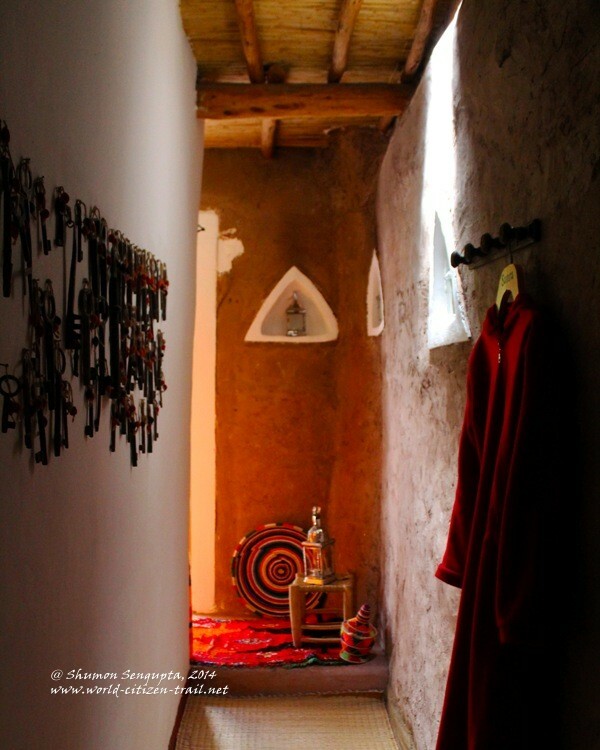 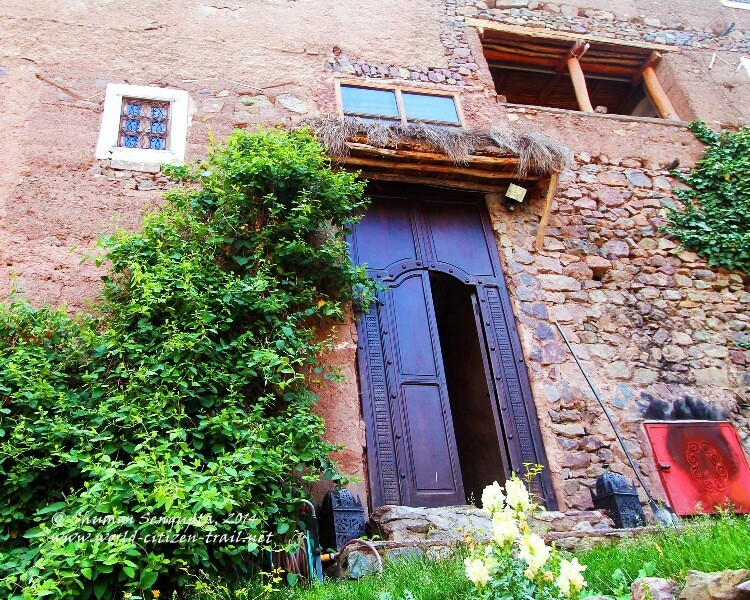 If I have to select a single highlight of our 22 day amazing Moroccan trip with Journey Beyond Travel​, surely it has to be our stay at Douar Samra in the High Atlas Mountains.